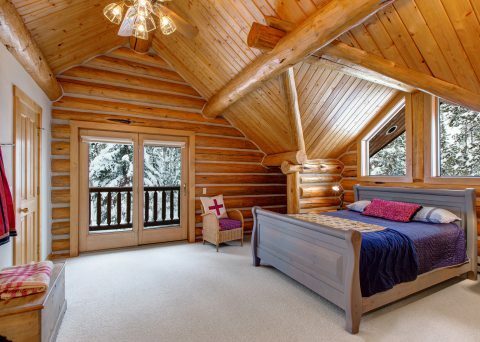 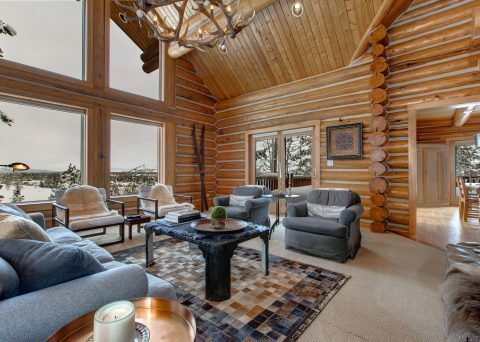 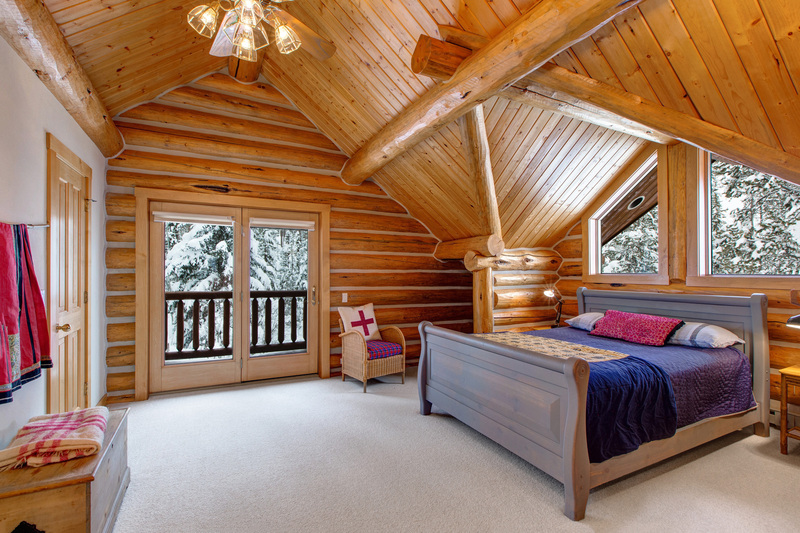 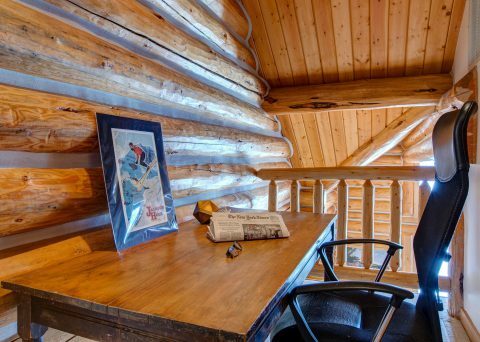 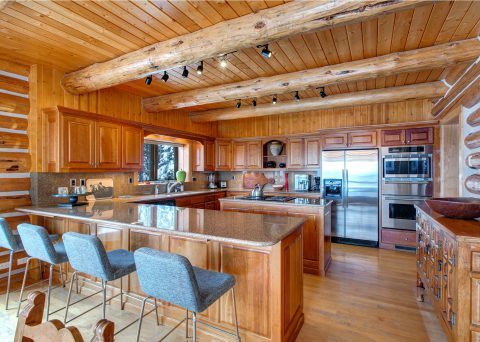 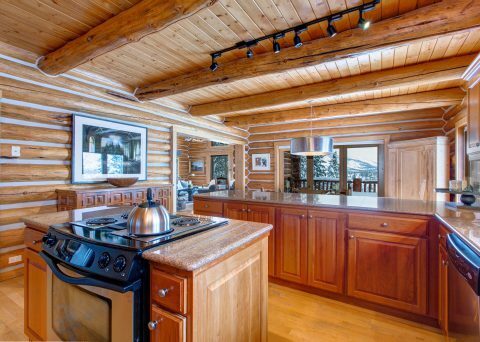 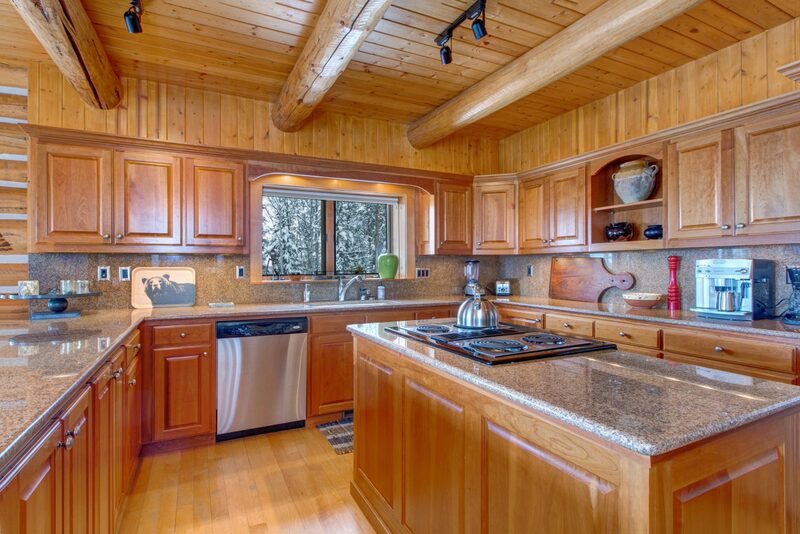 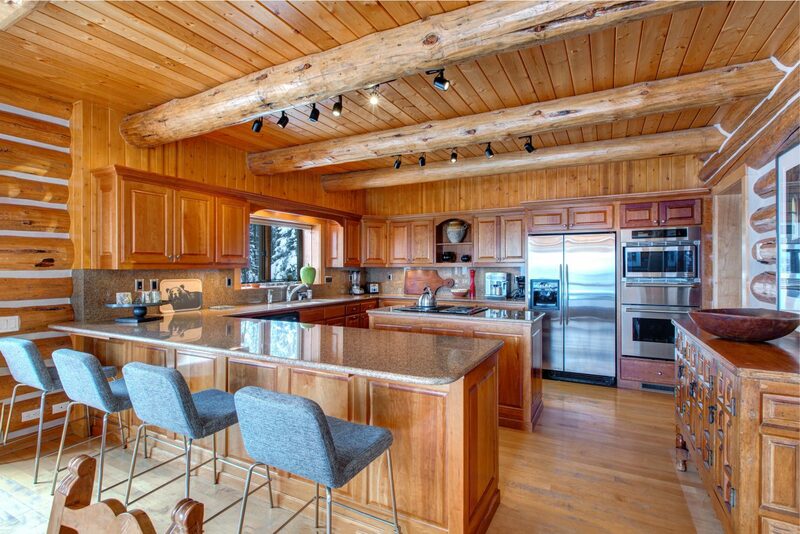 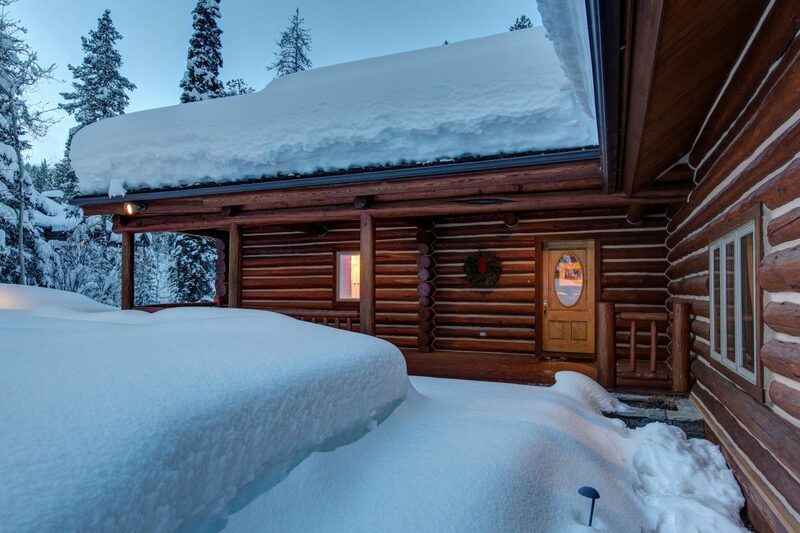 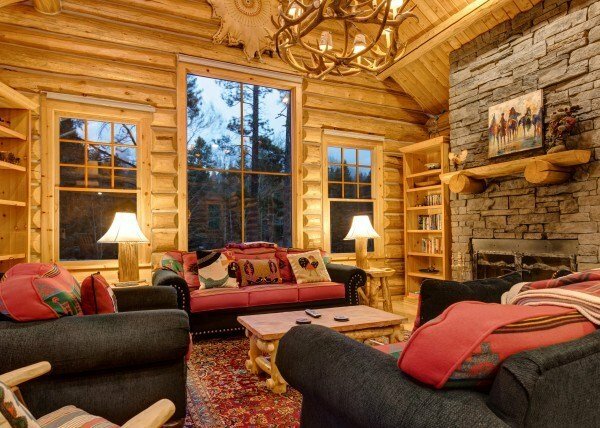 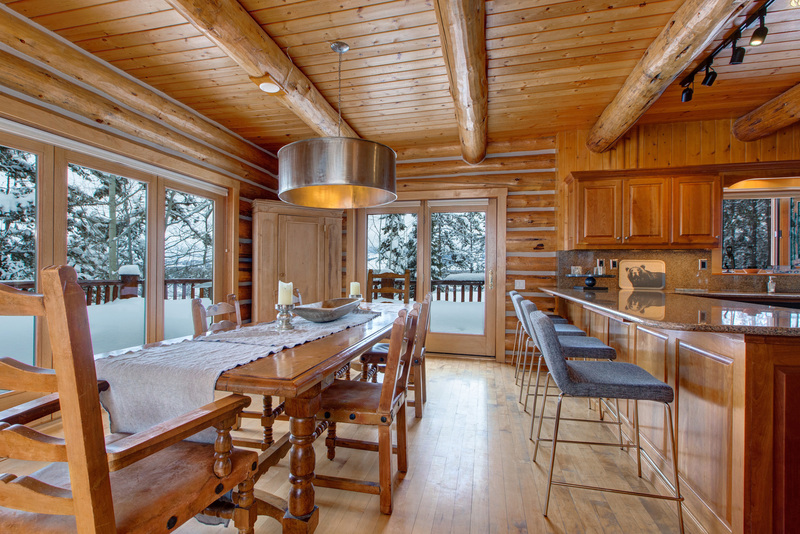 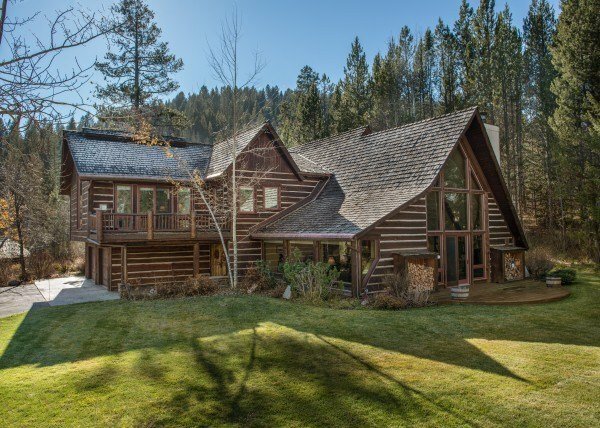 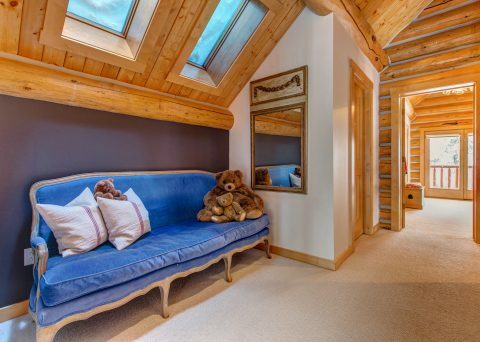 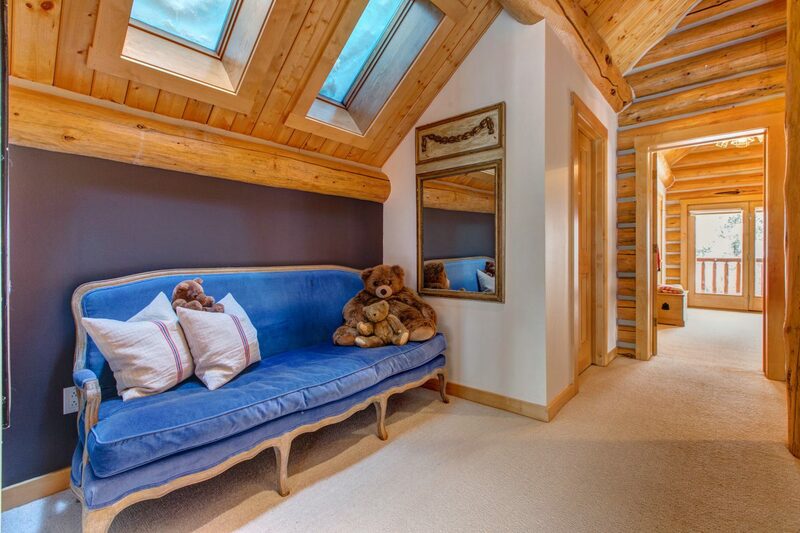 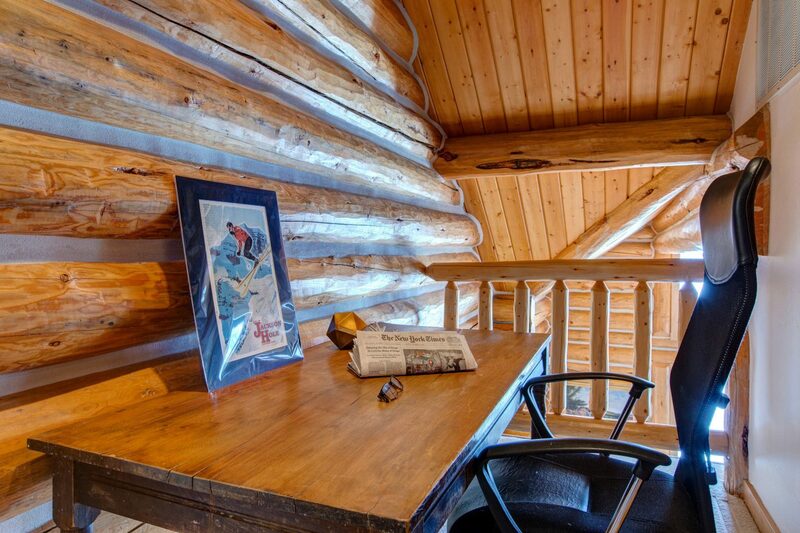 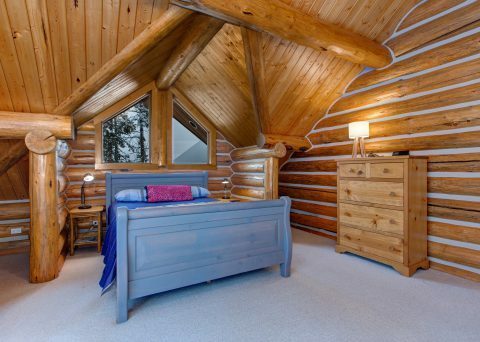 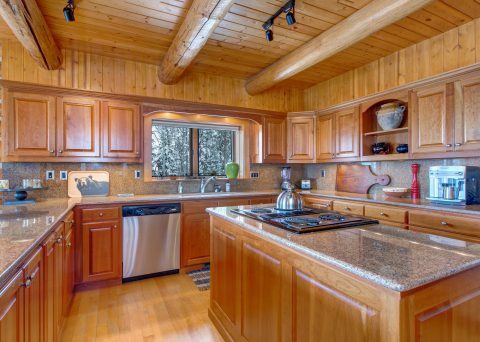 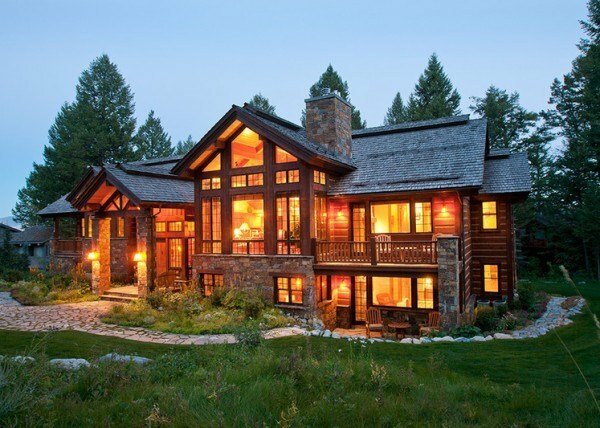 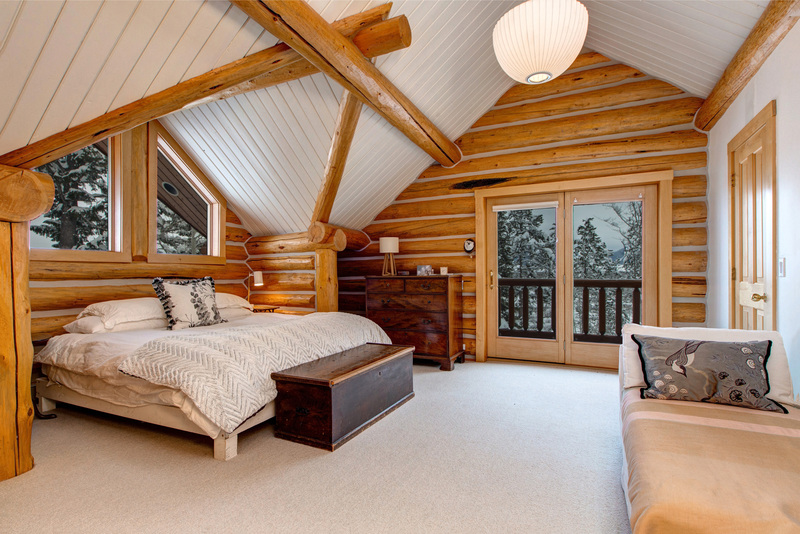 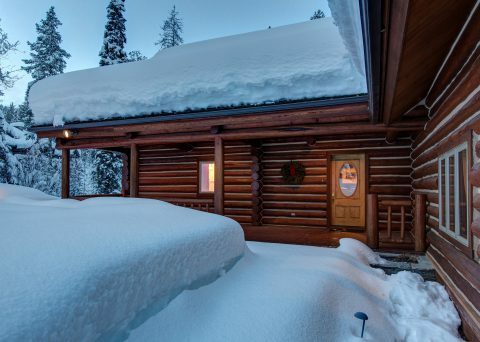 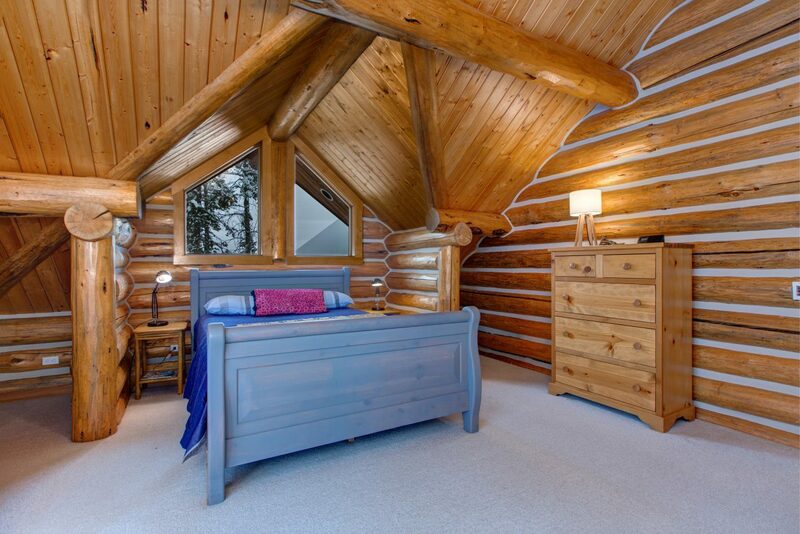 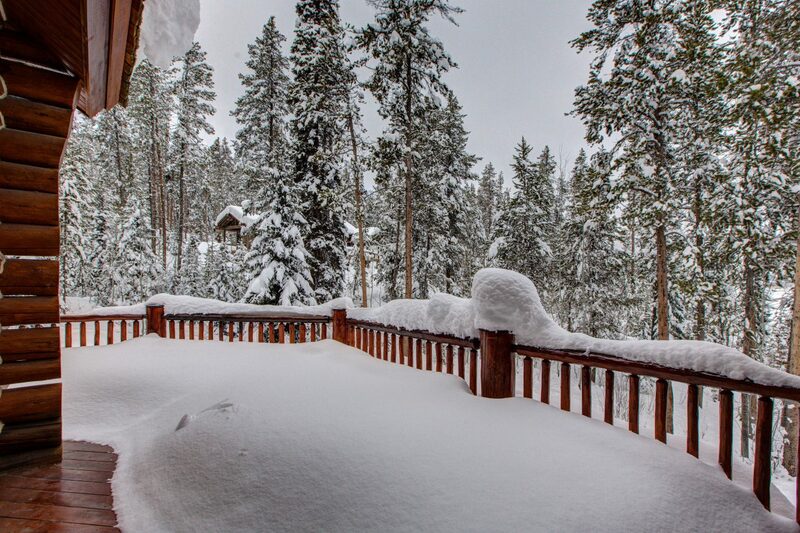 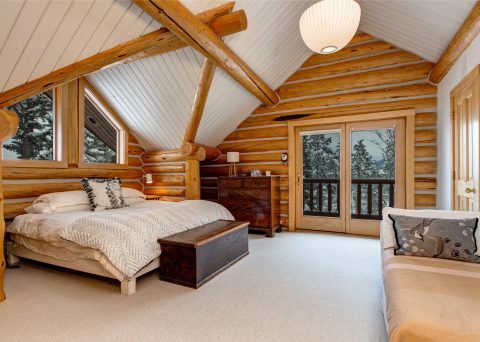 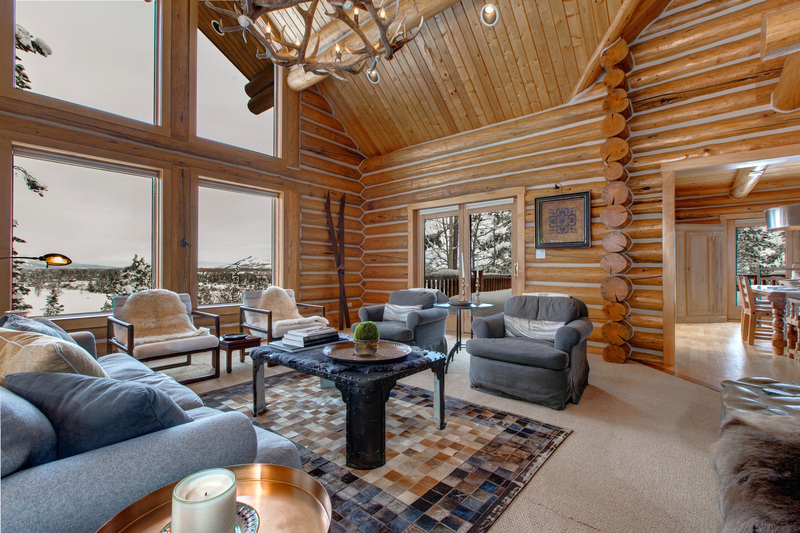 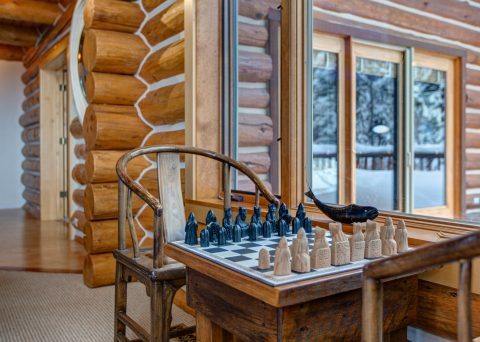 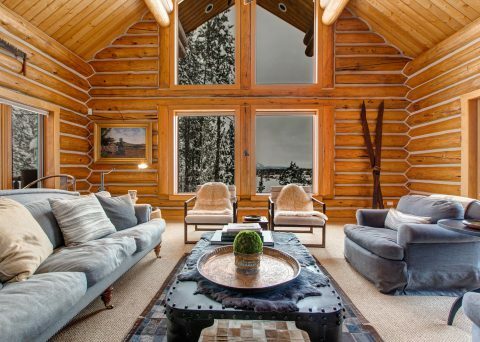 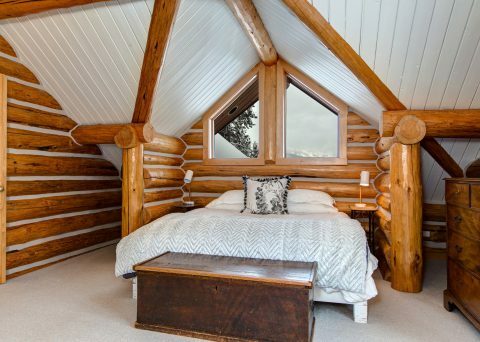 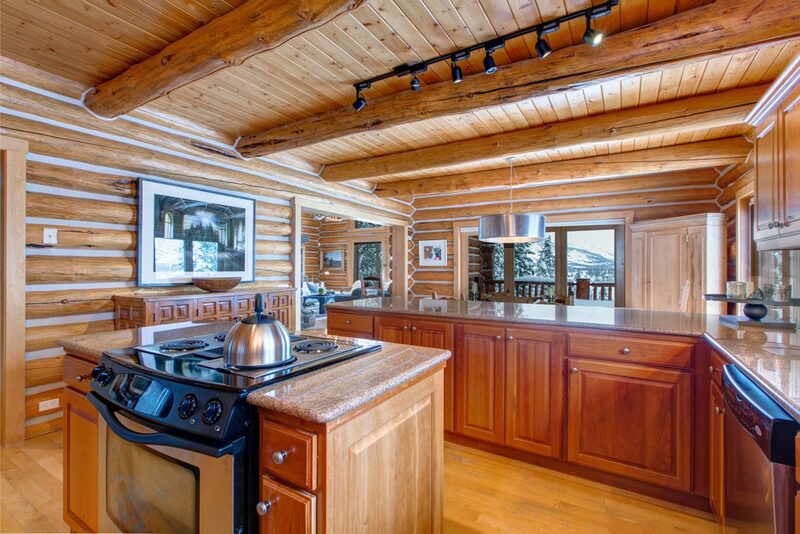 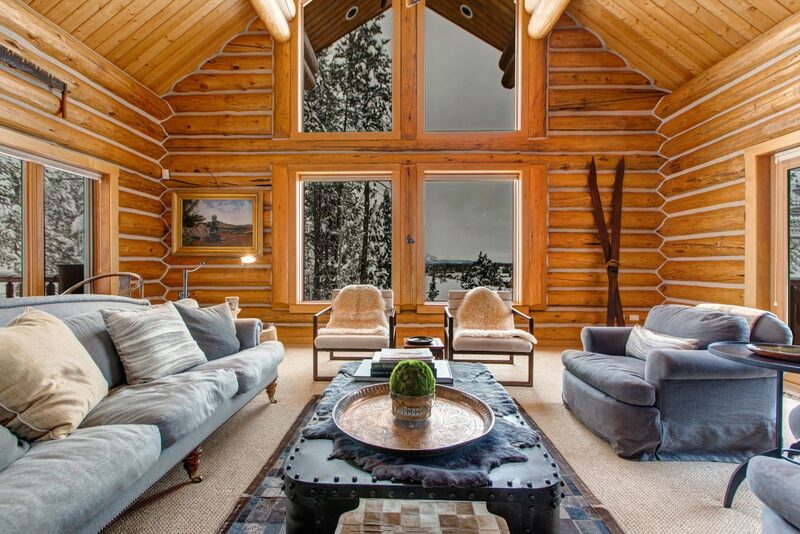 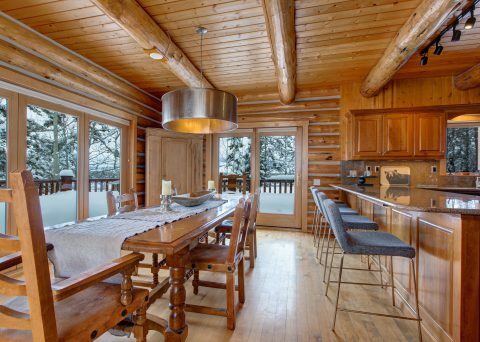 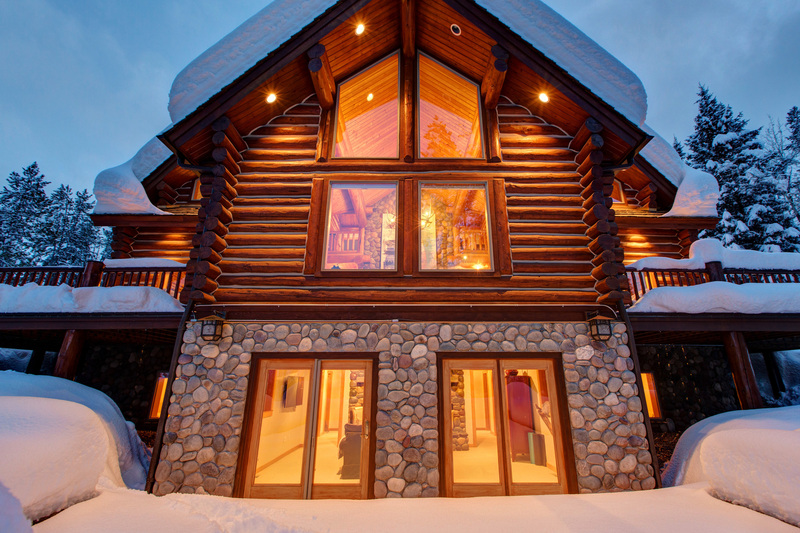 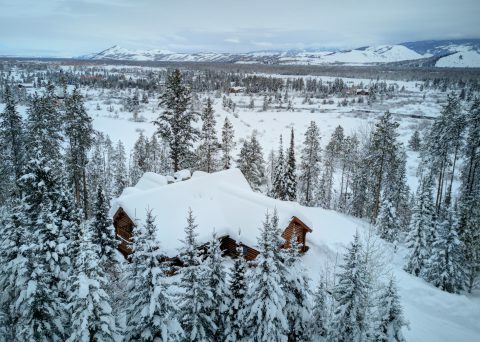 Elevated above the valley floor overlooking conserved ranch land this 4900/sf log home has dramatic Grand Teton and Fish Creek views. 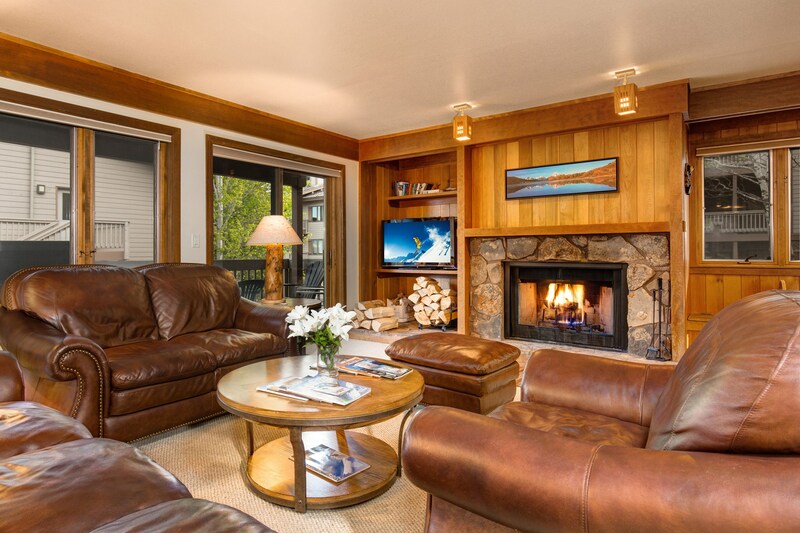 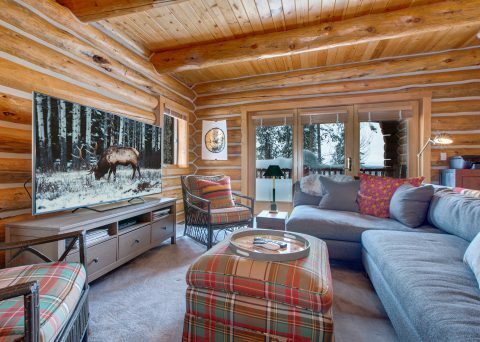 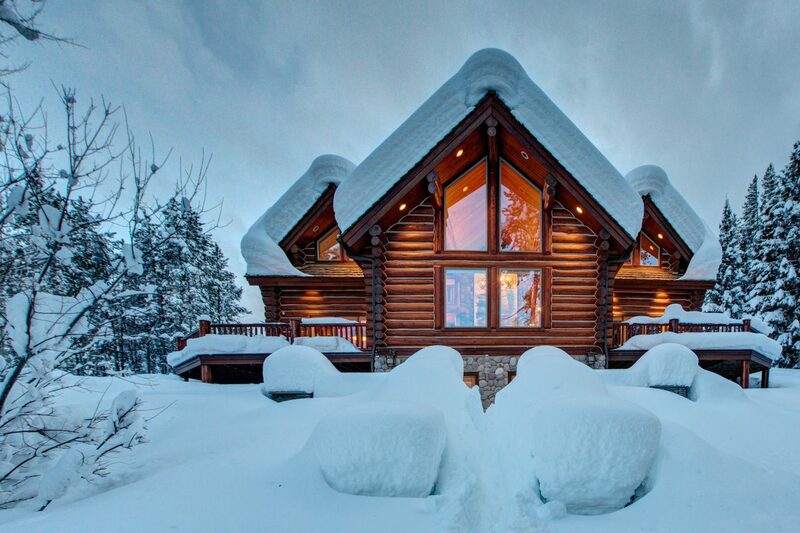 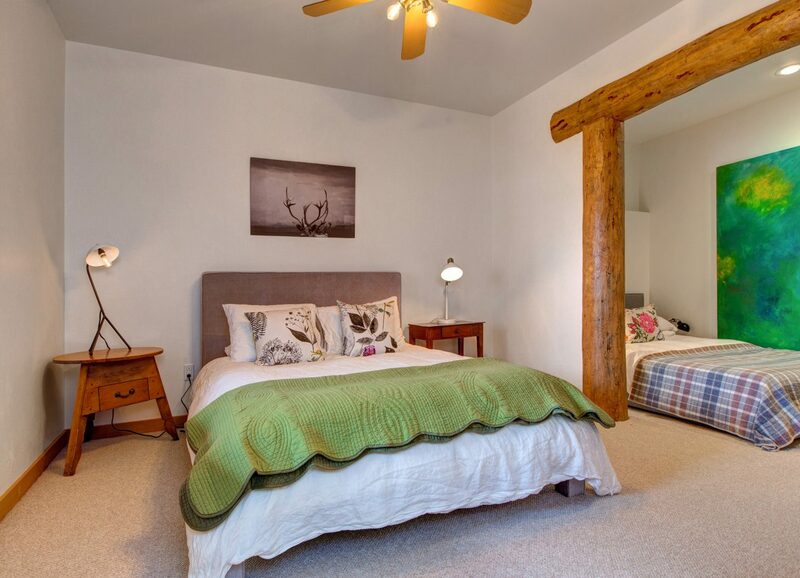 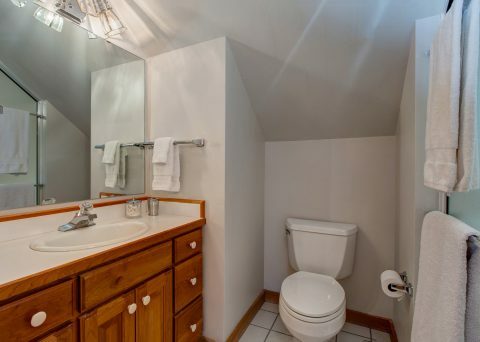 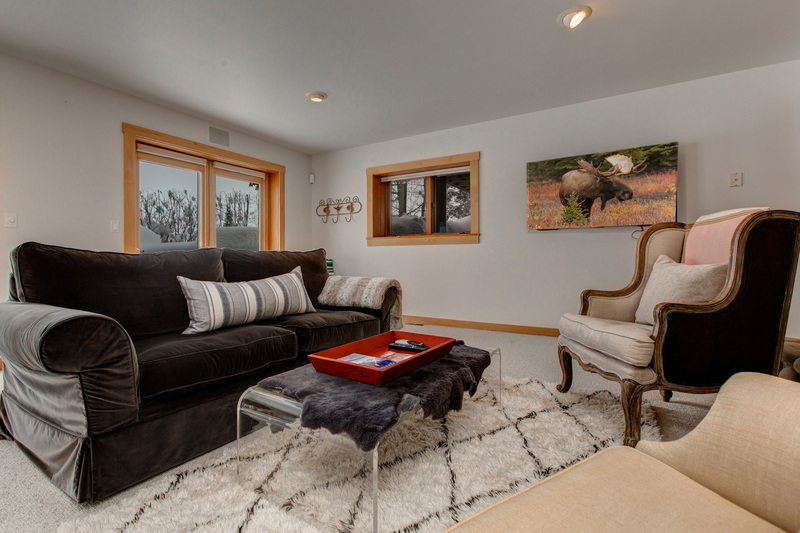 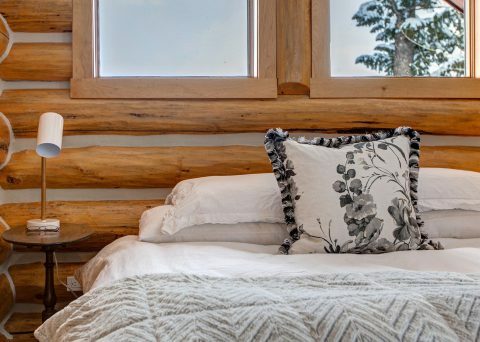 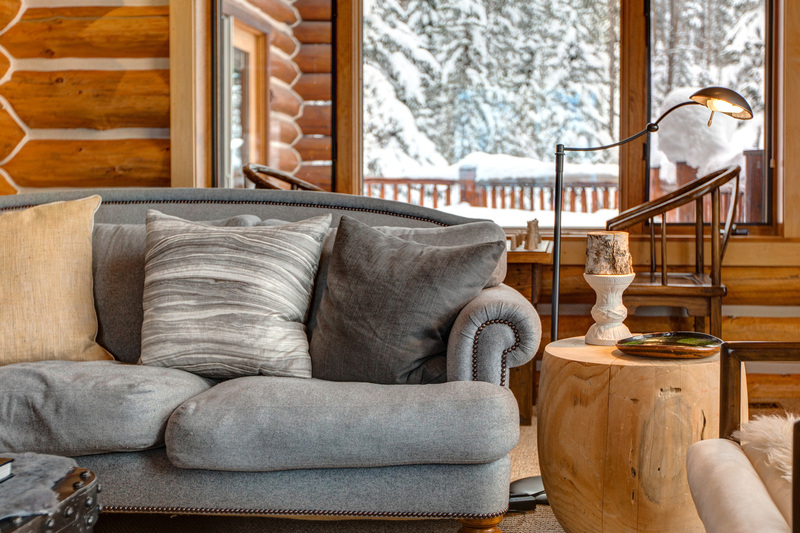 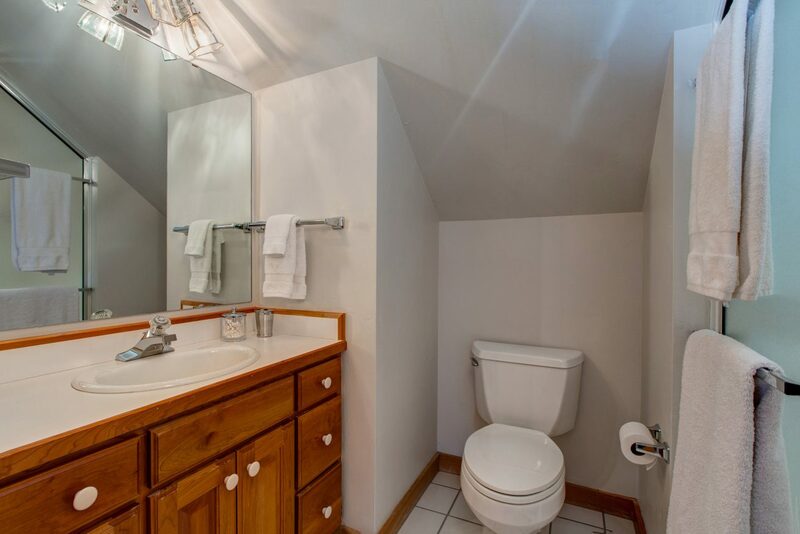 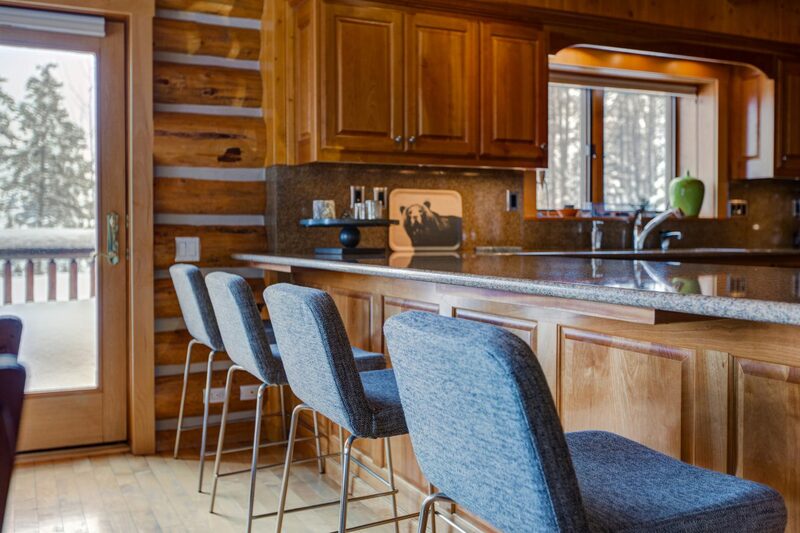 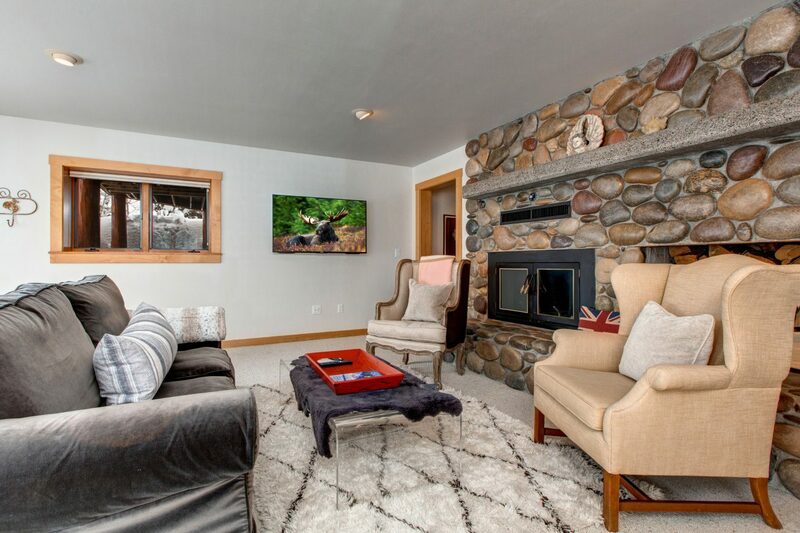 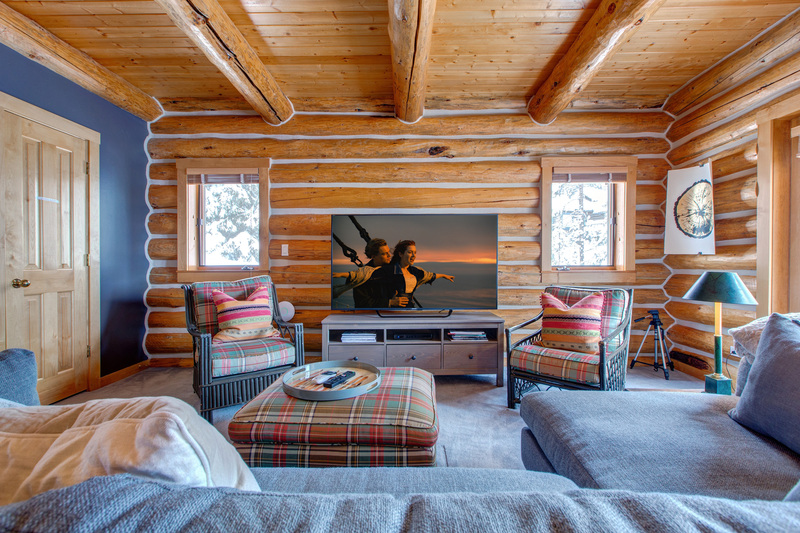 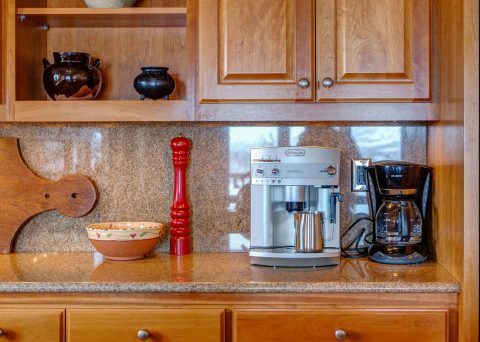 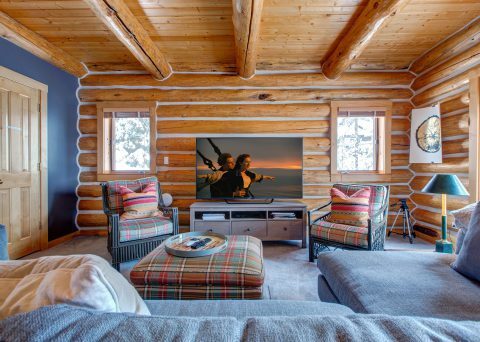 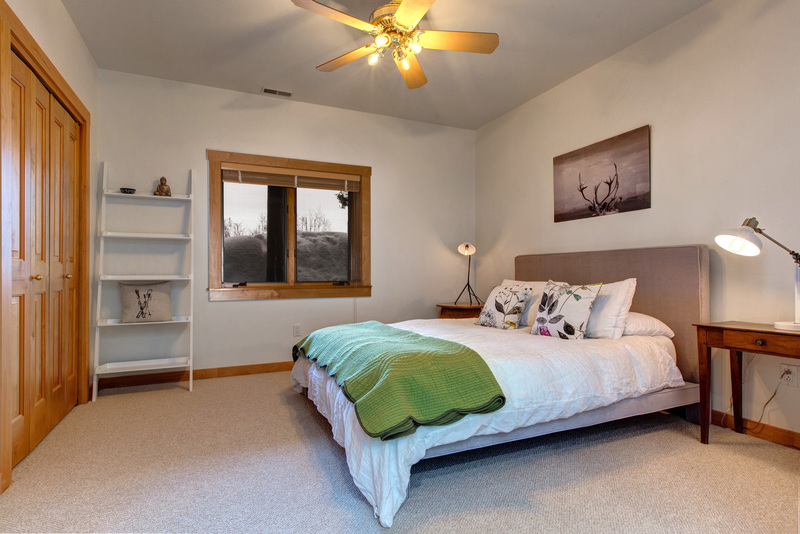 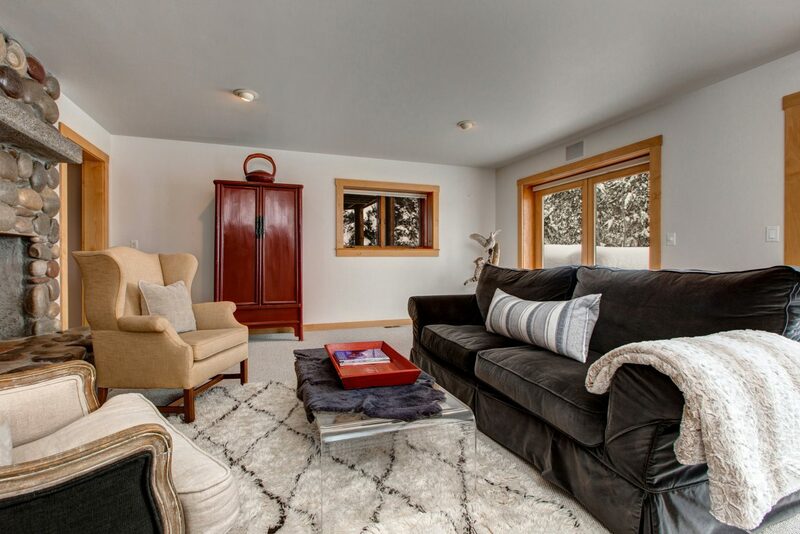 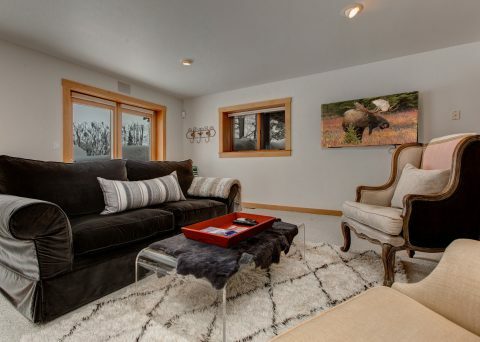 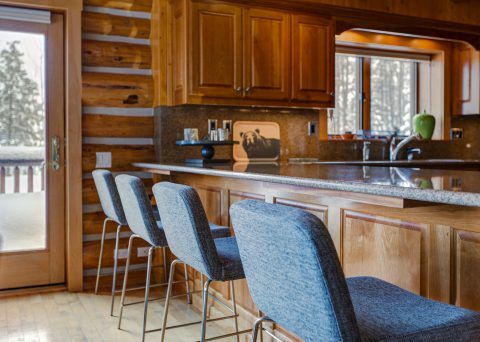 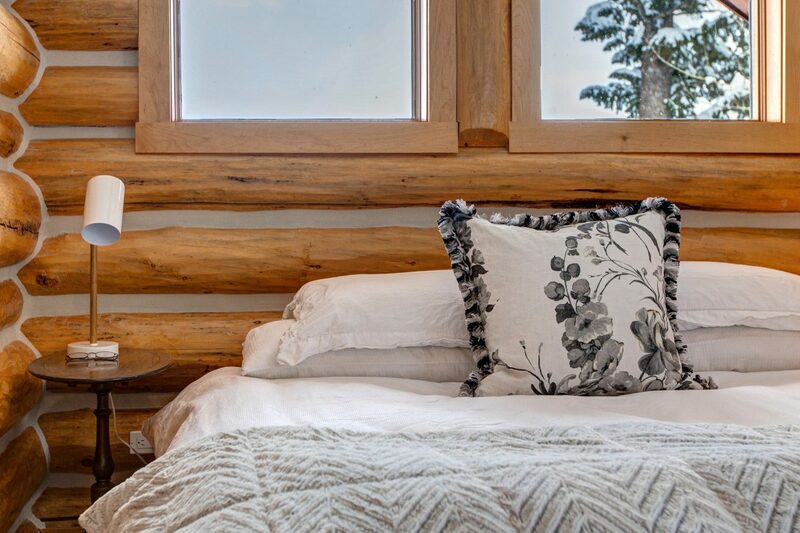 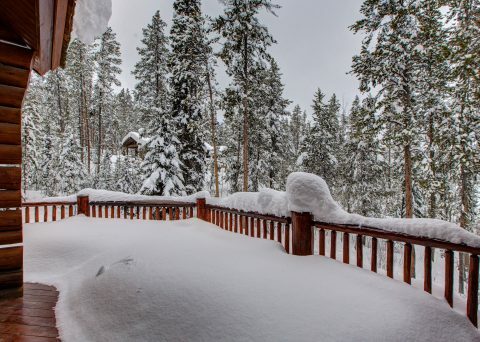 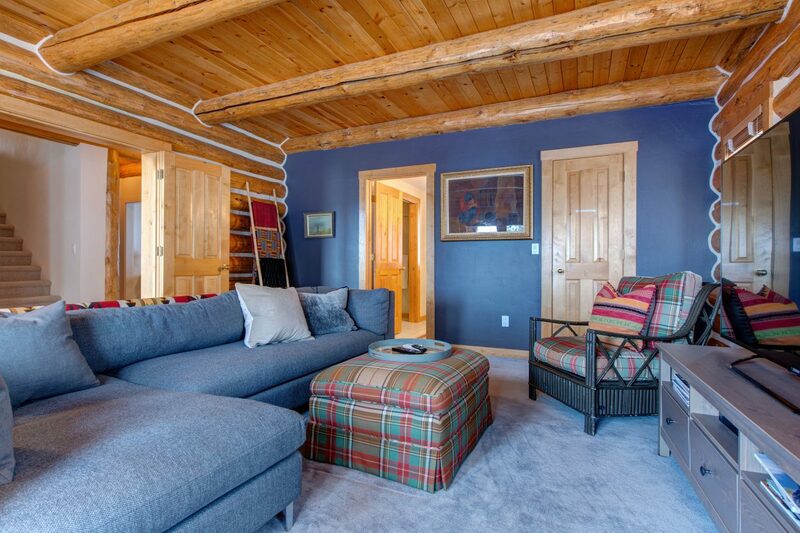 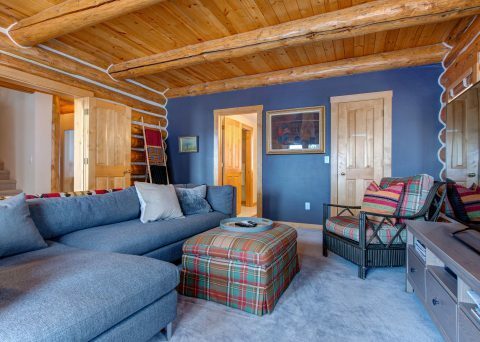 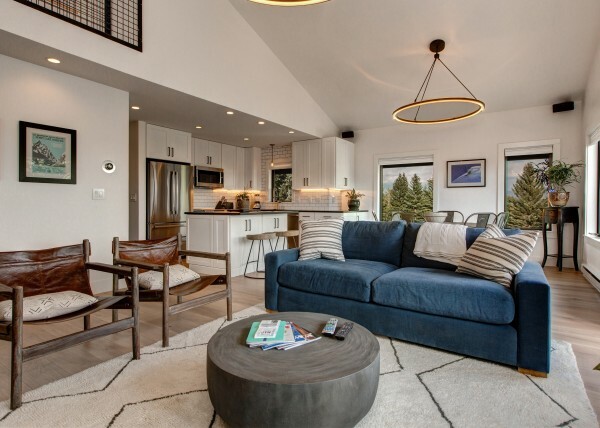 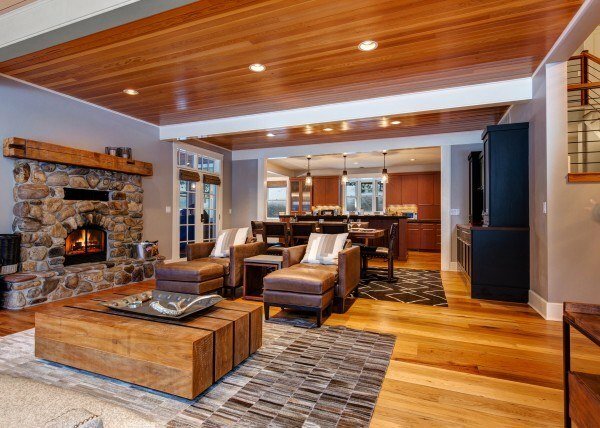 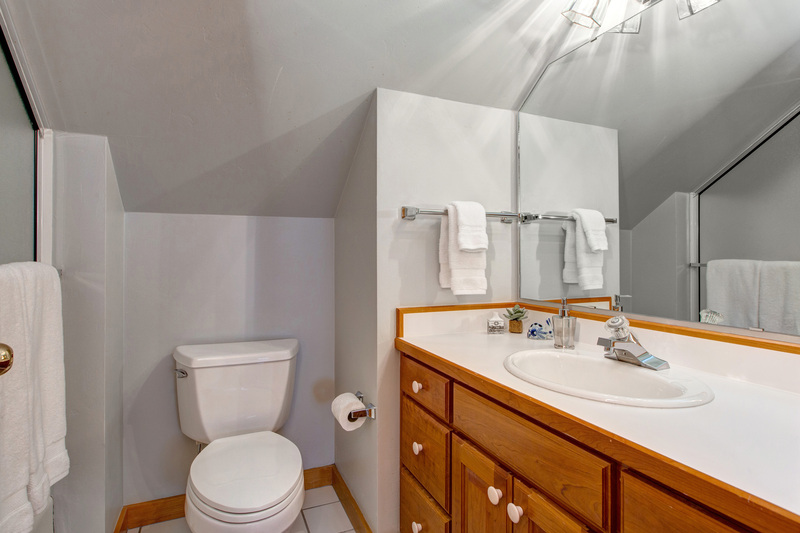 Containing 4 bedrooms plus den with sleeper sofa and 5.5 baths, Abode at Wapiti Hideout has two living areas and extensive outside patios and decking perfect for entertaining or relaxing after a long day of adventure. 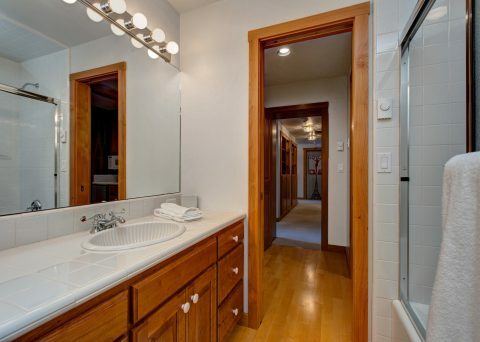 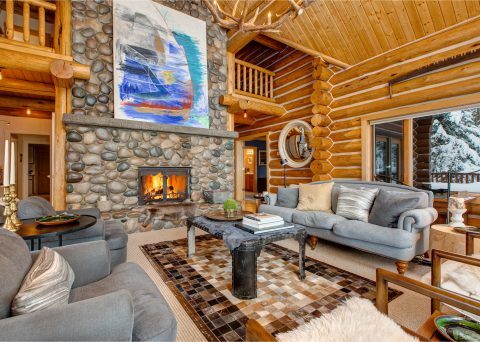 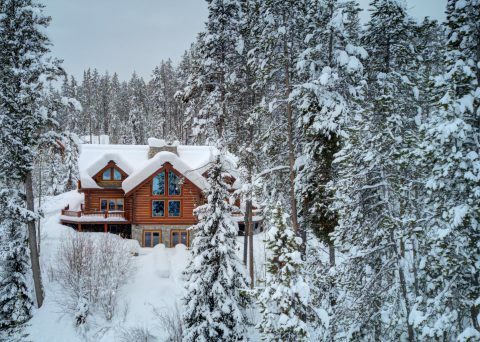 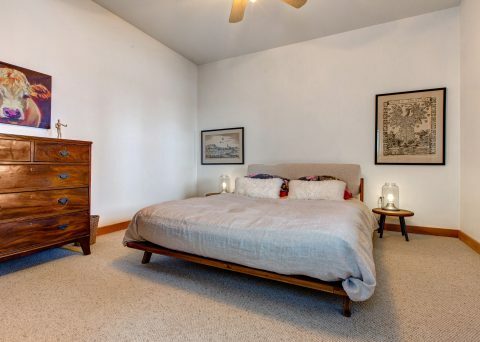 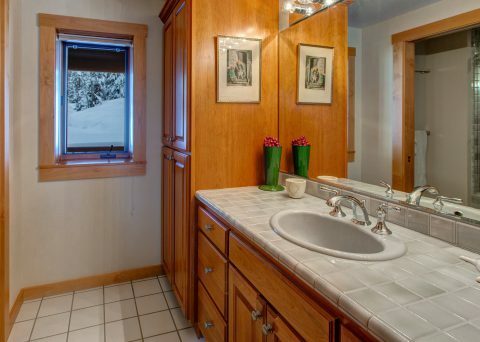 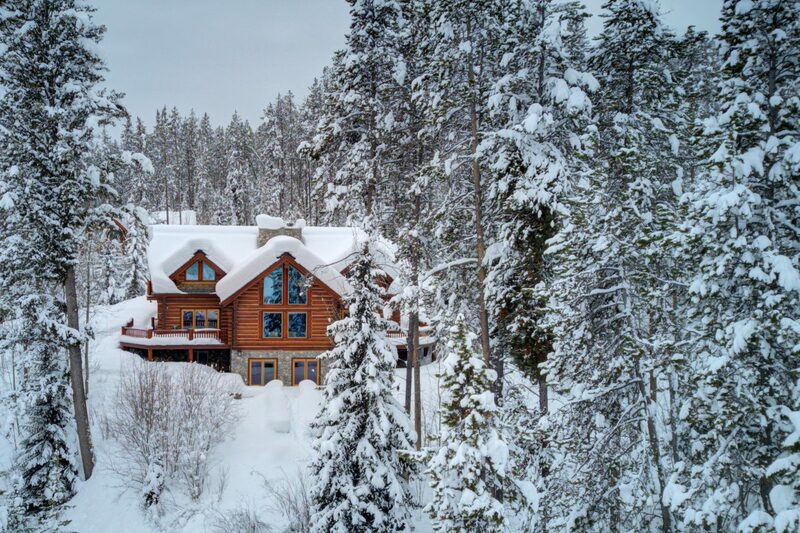 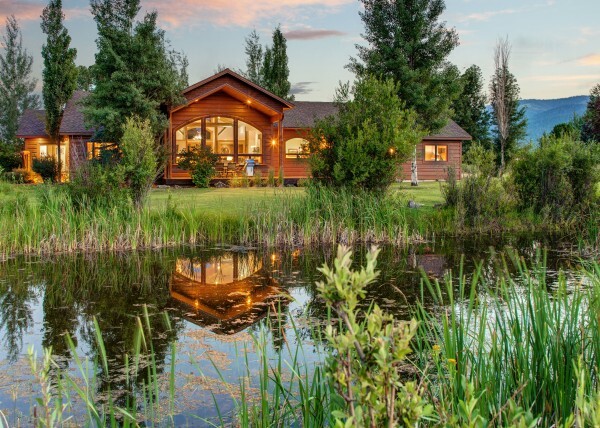 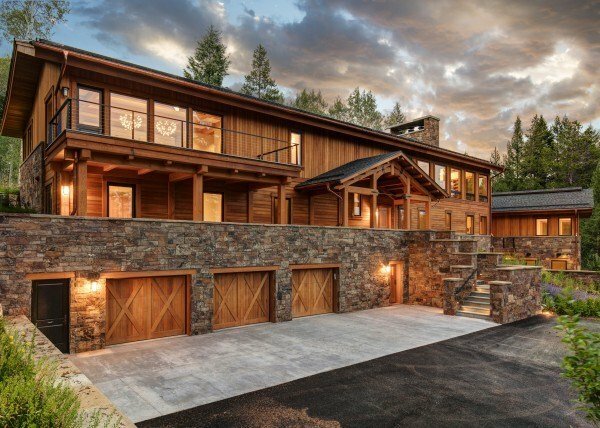 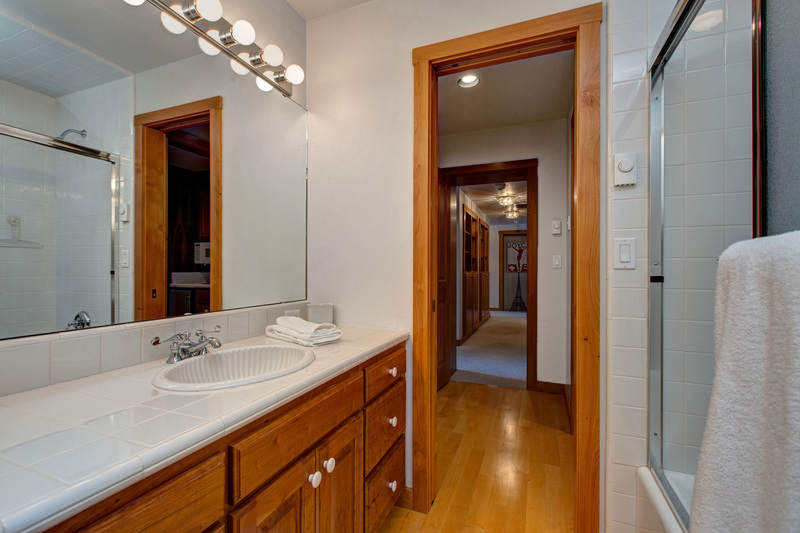 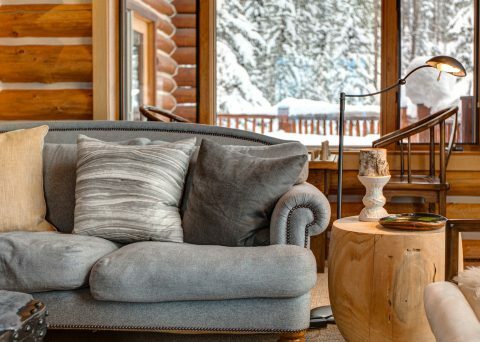 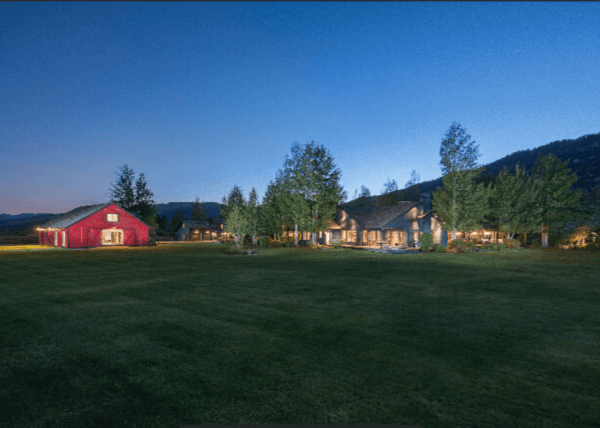 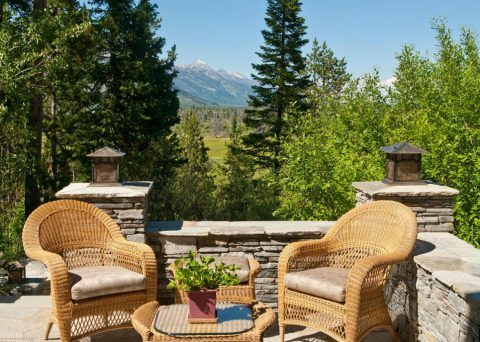 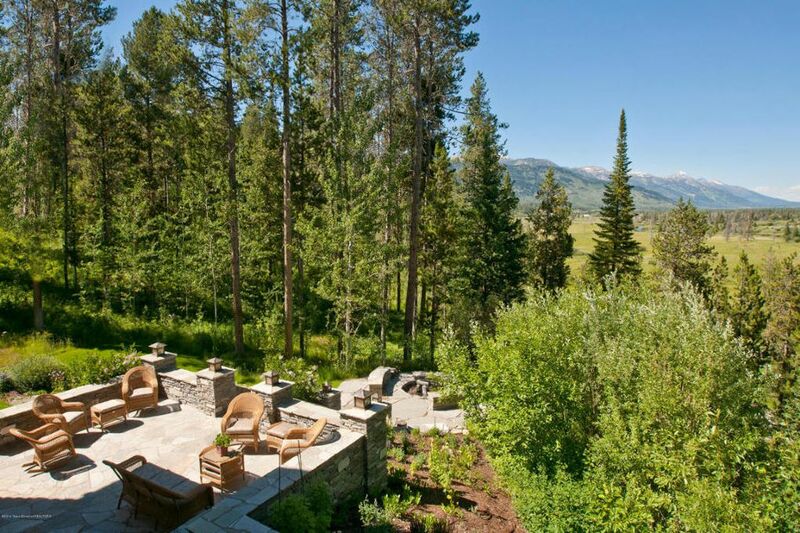 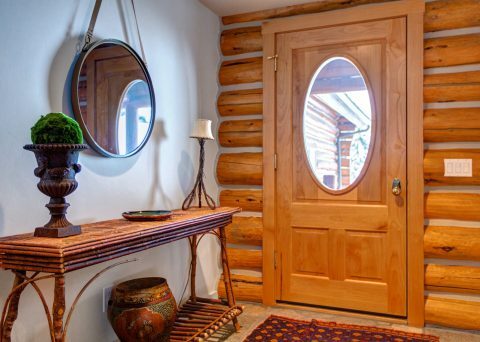 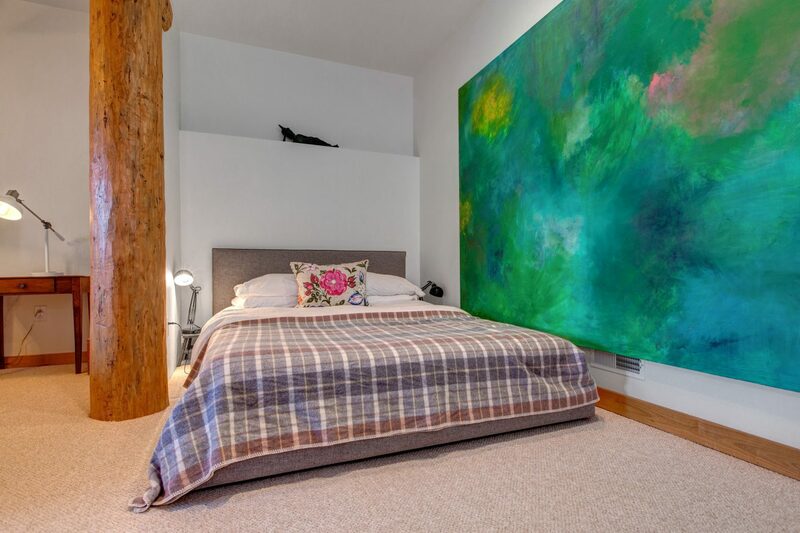 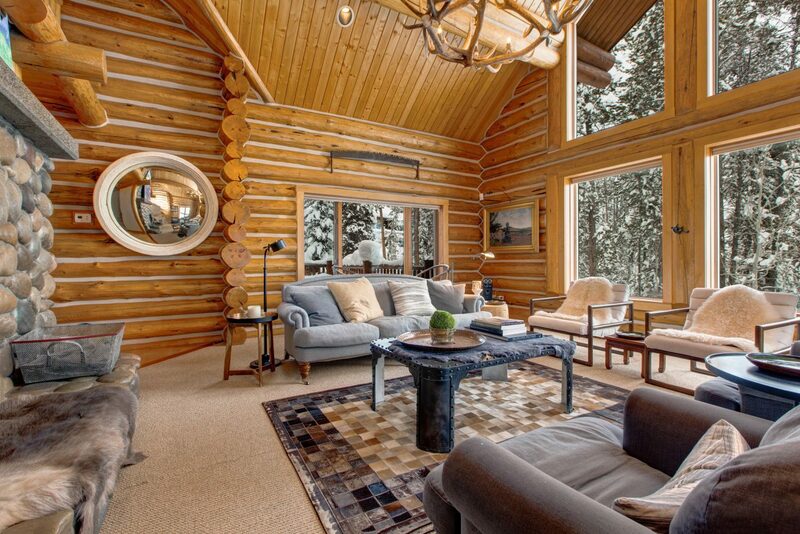 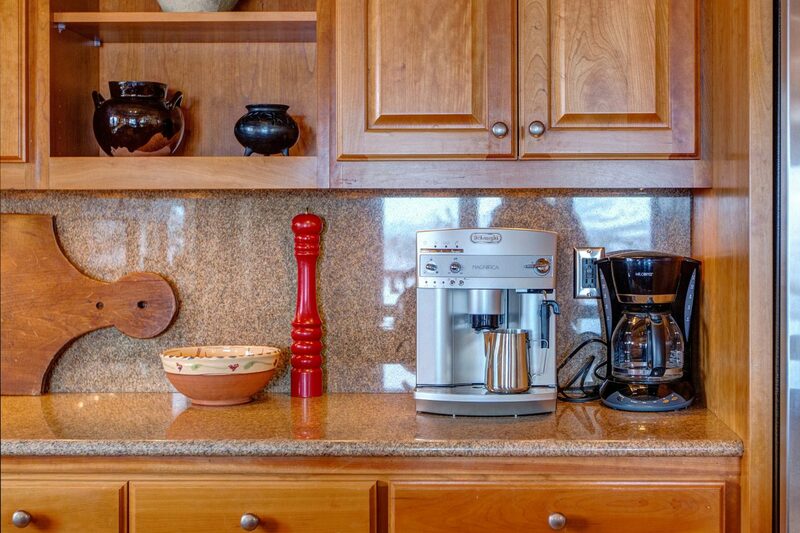 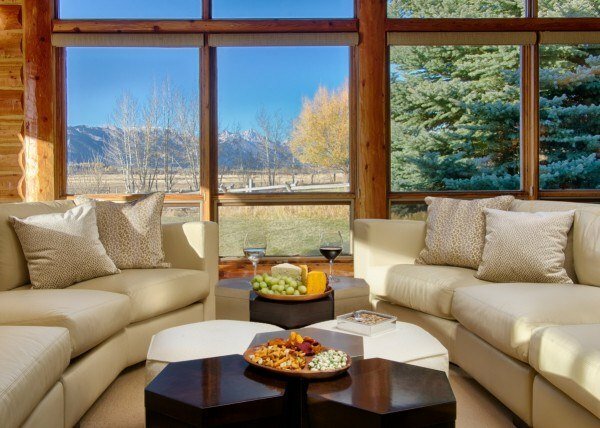 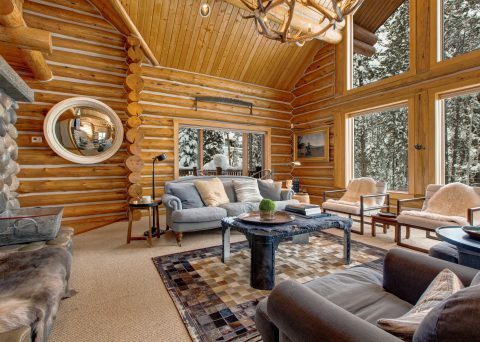 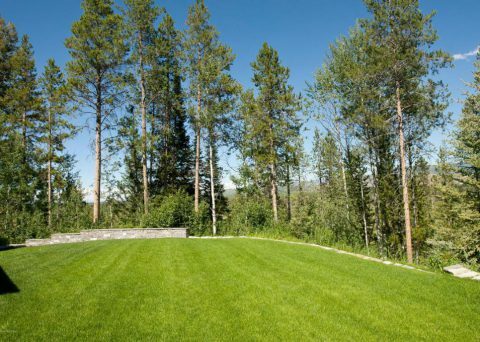 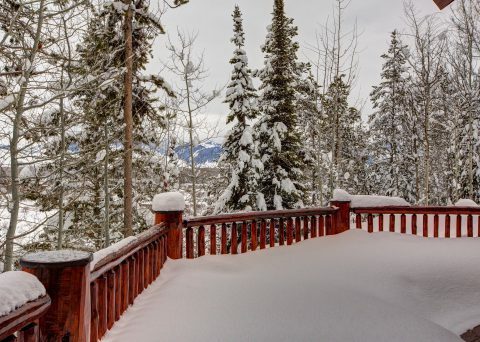 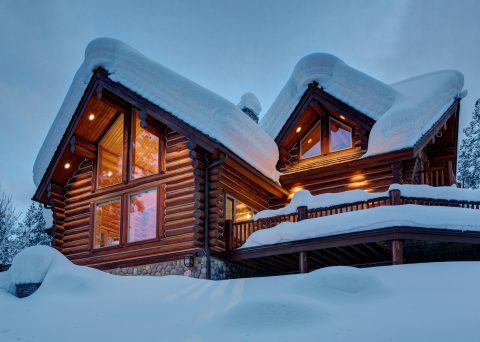 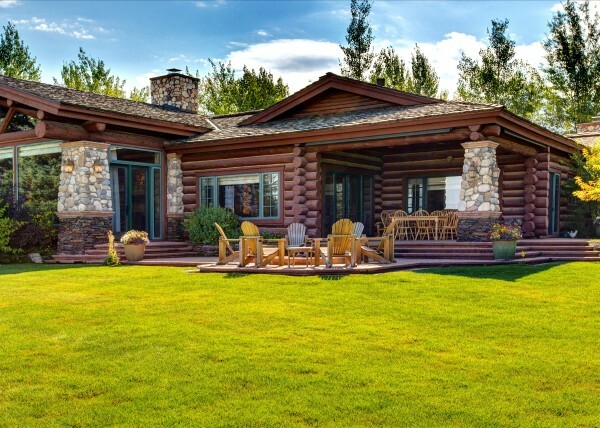 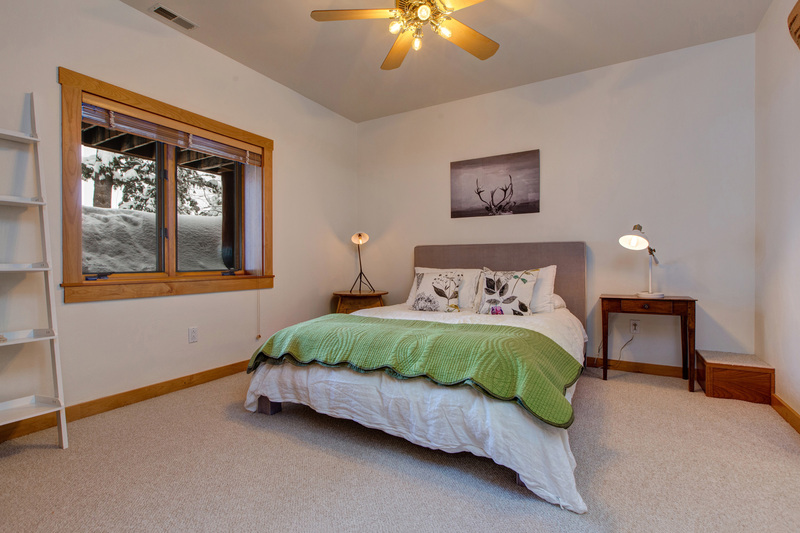 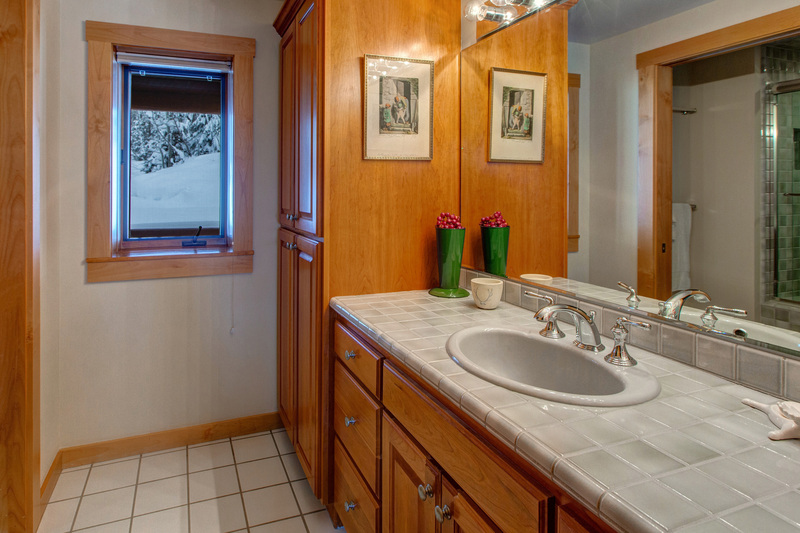 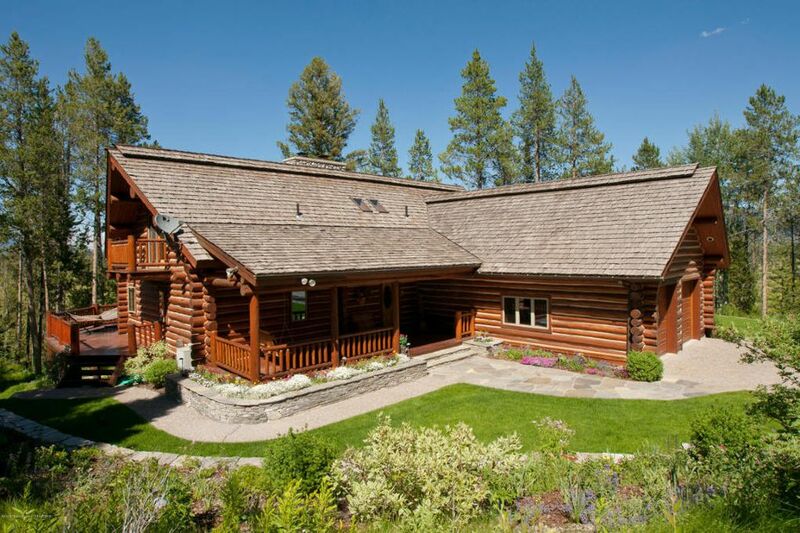 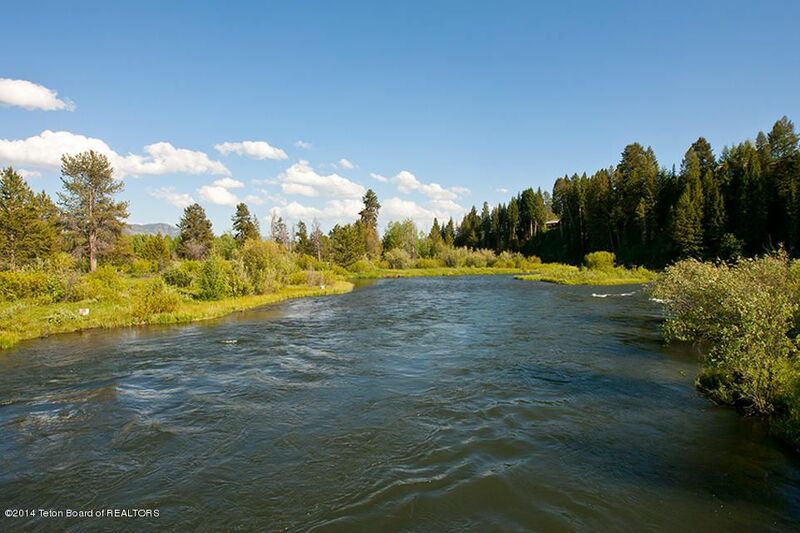 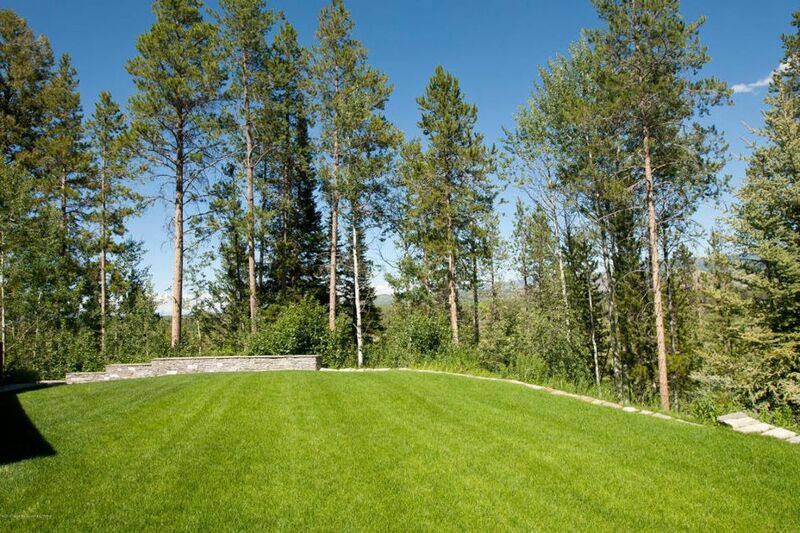 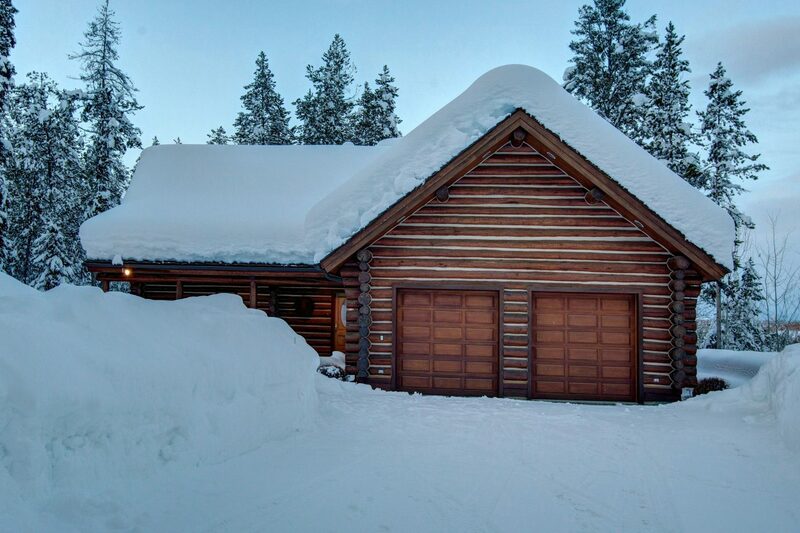 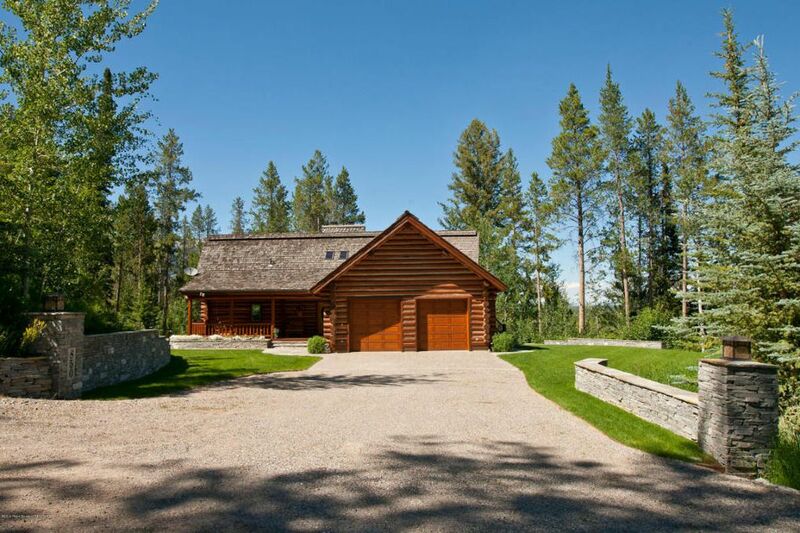 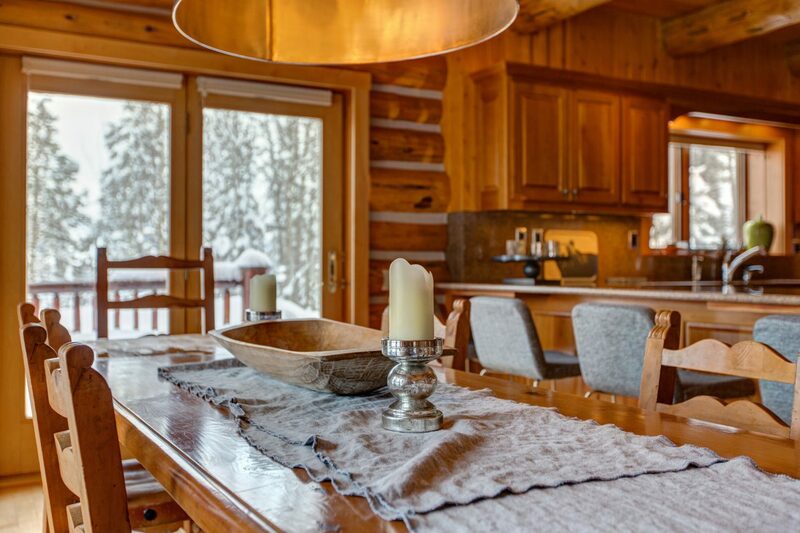 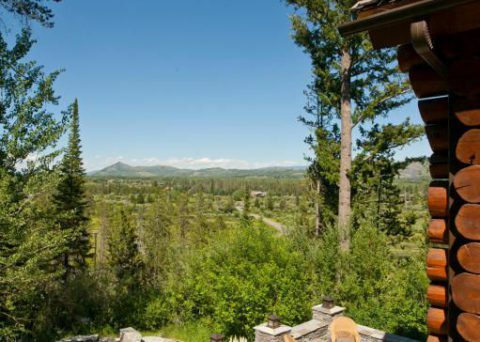 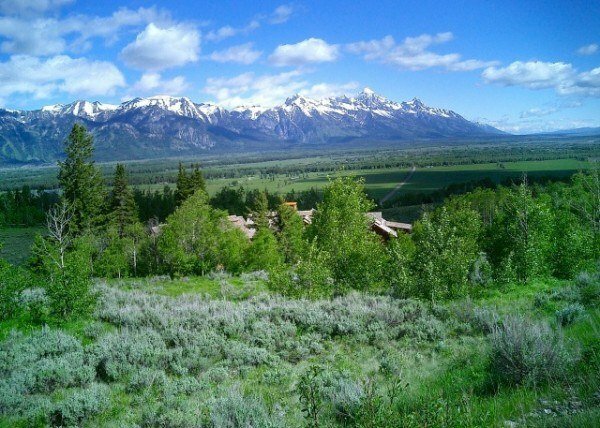 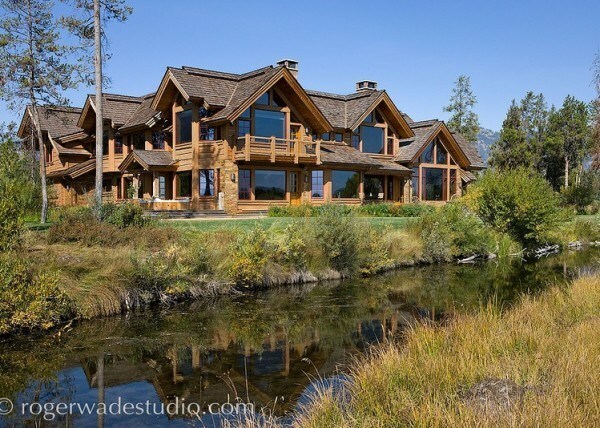 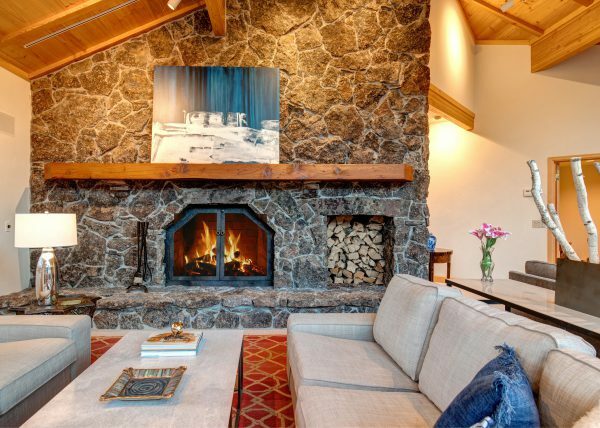 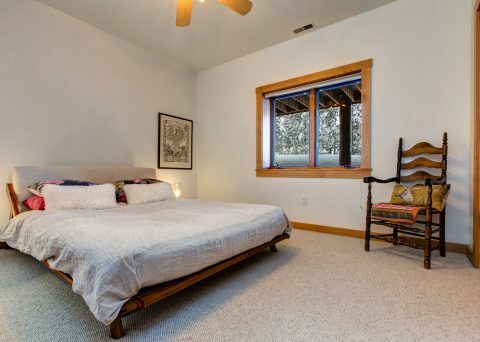 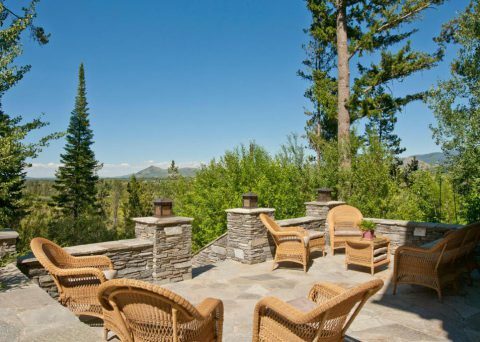 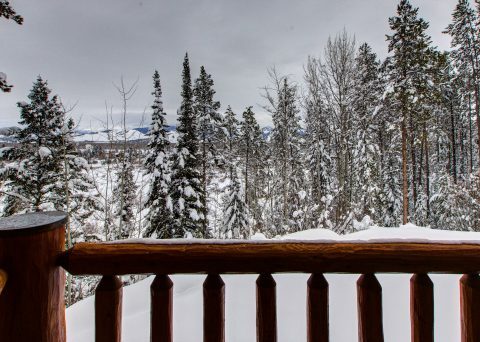 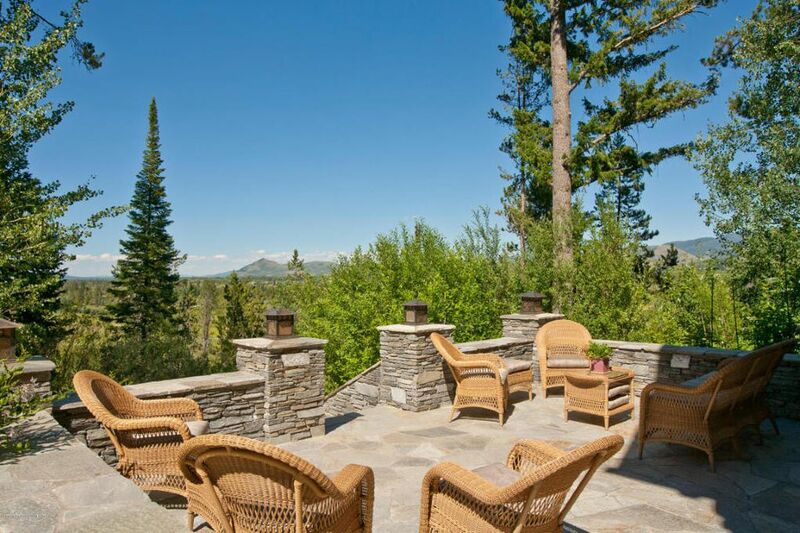 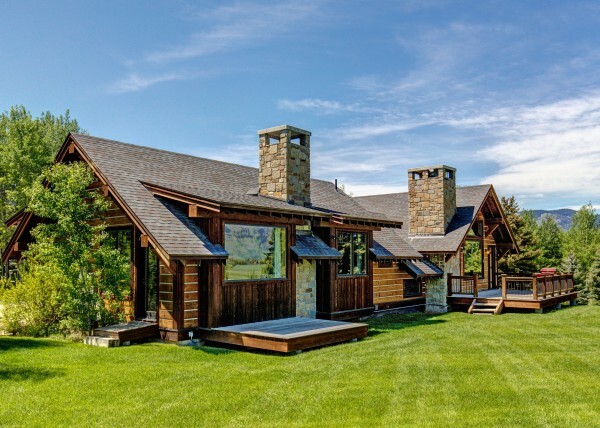 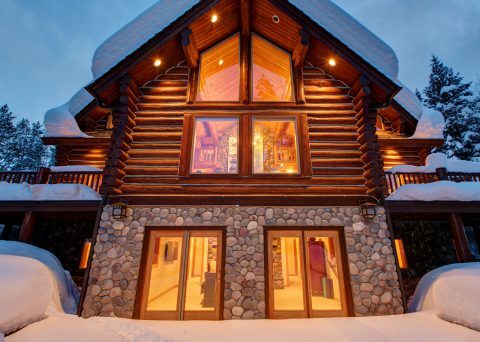 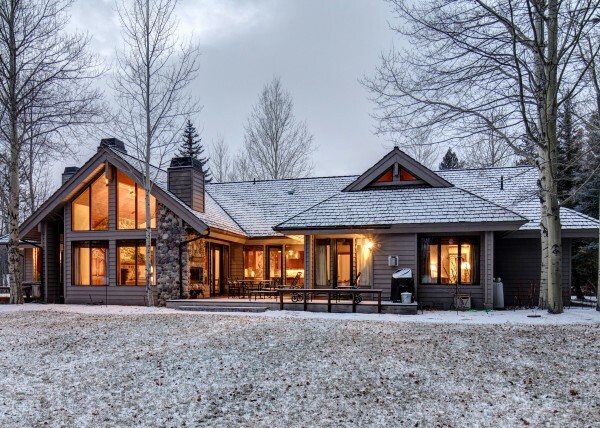 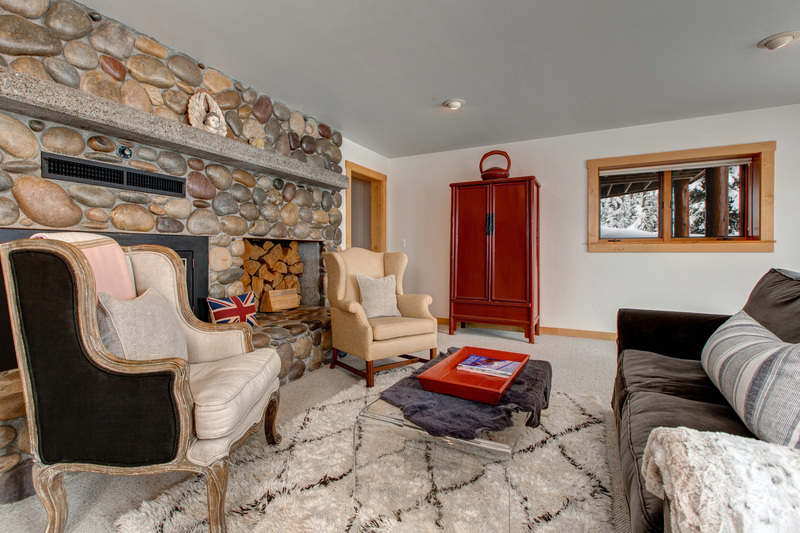 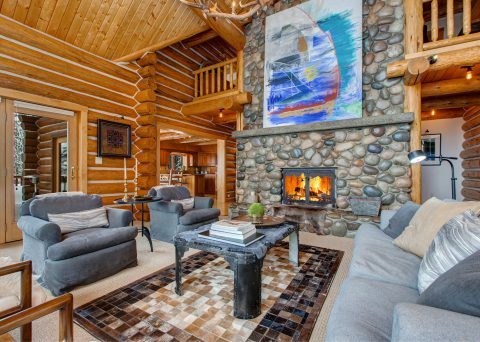 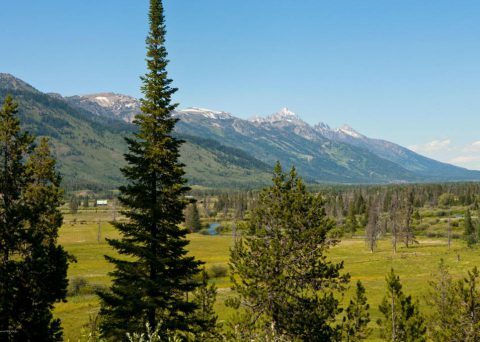 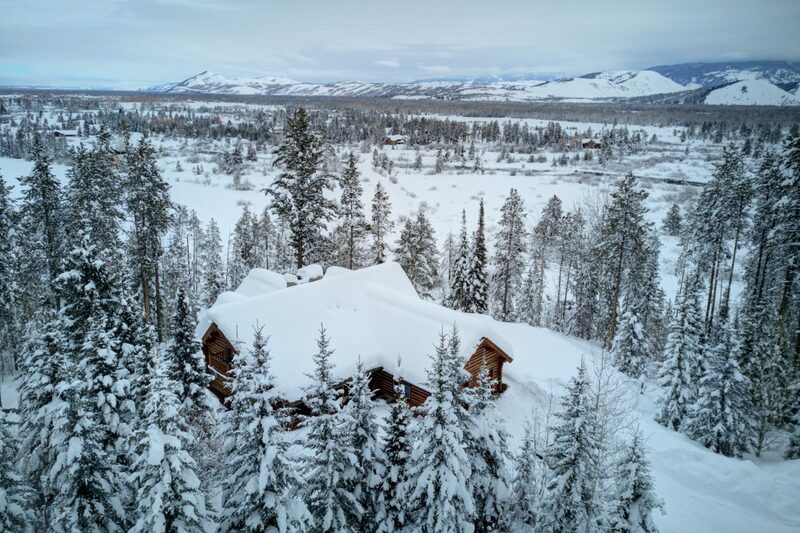 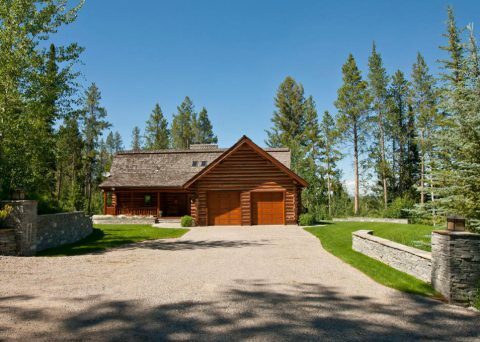 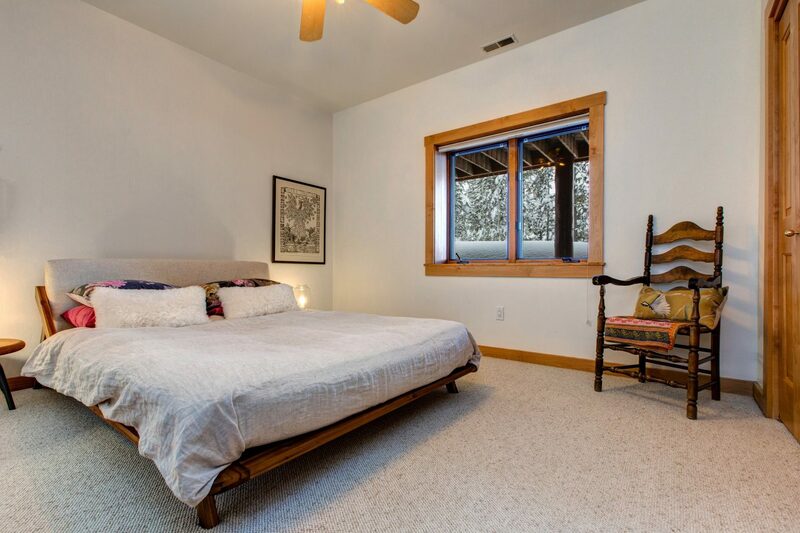 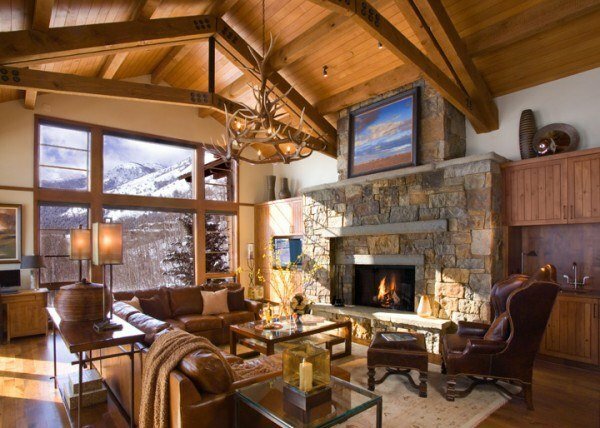 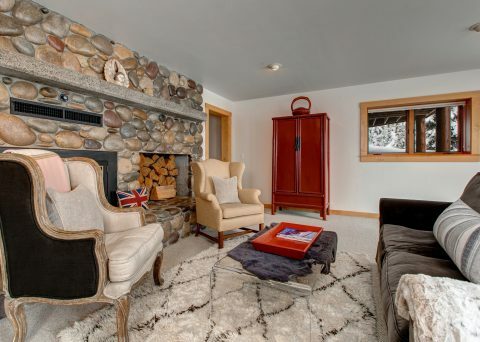 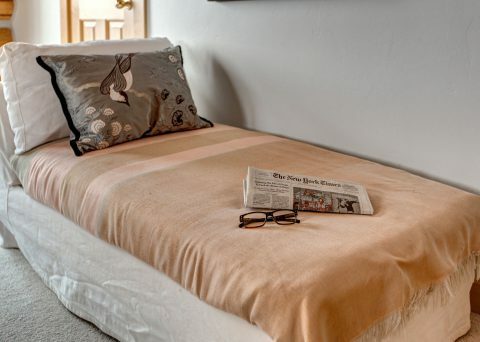 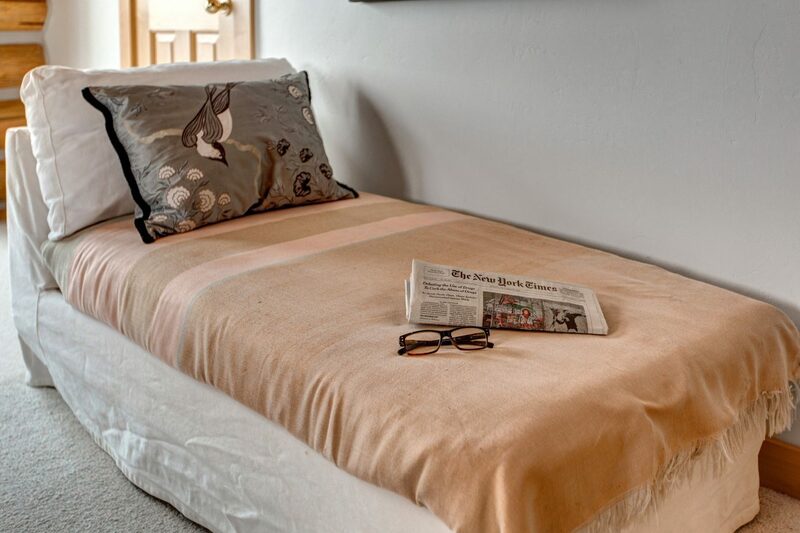 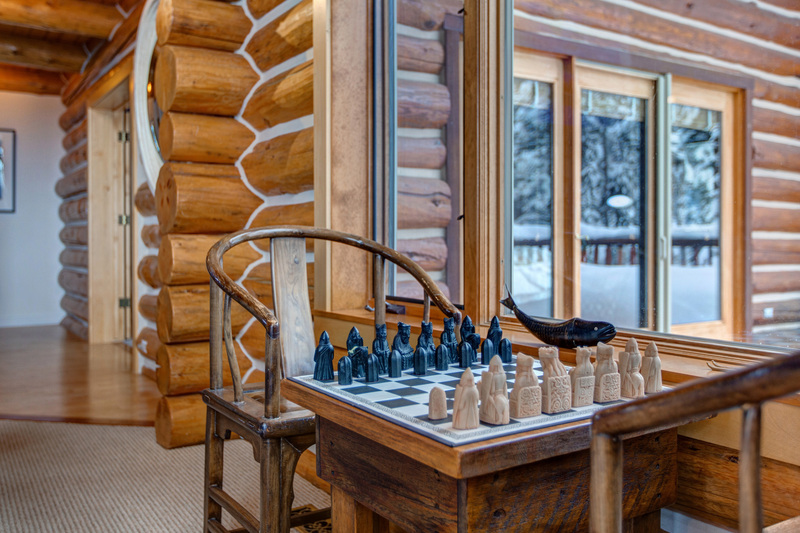 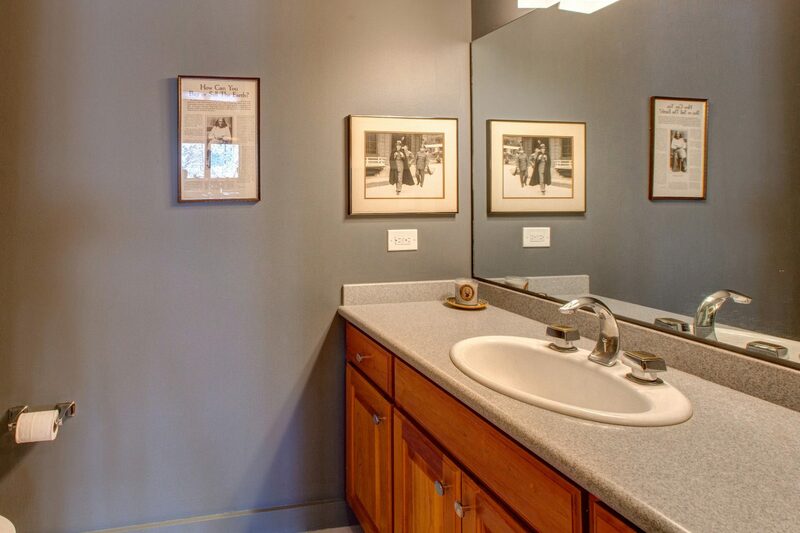 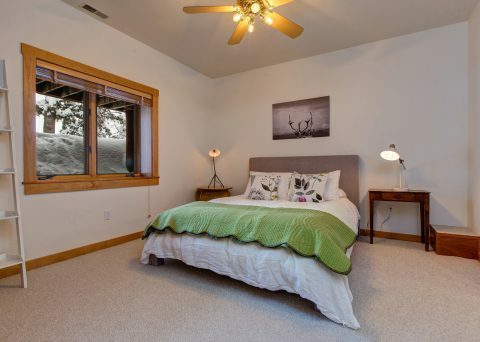 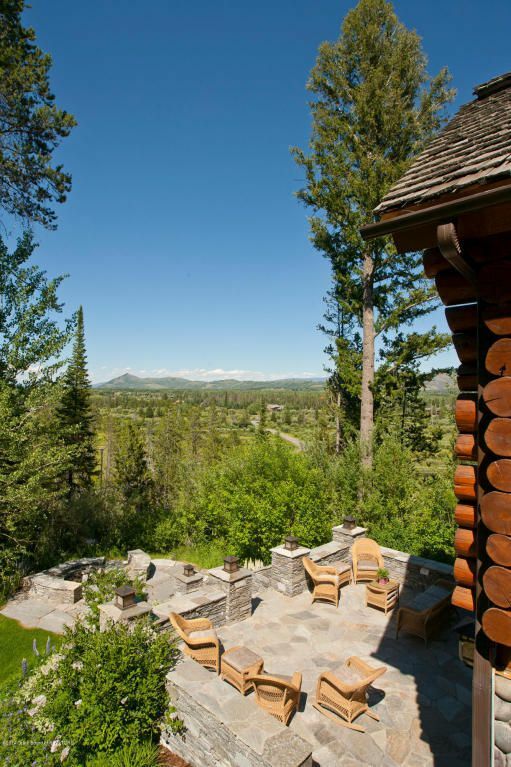 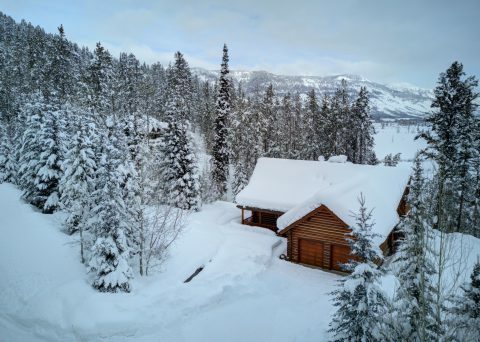 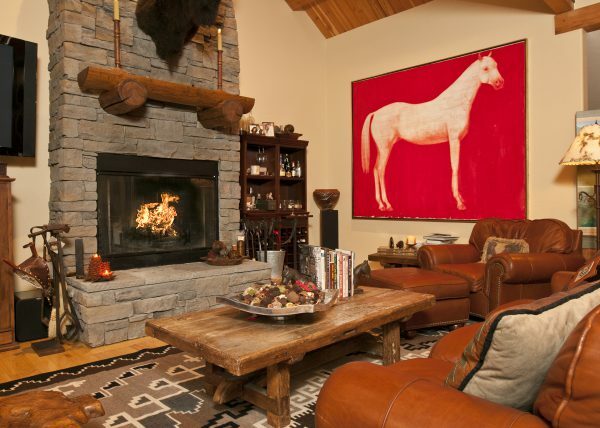 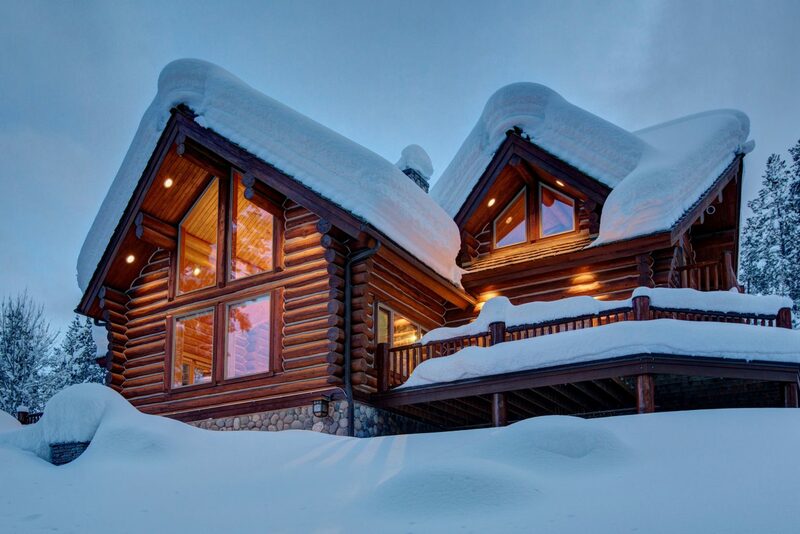 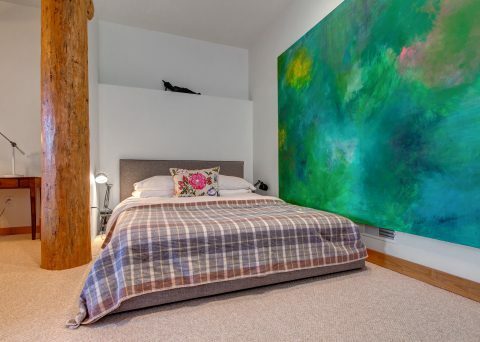 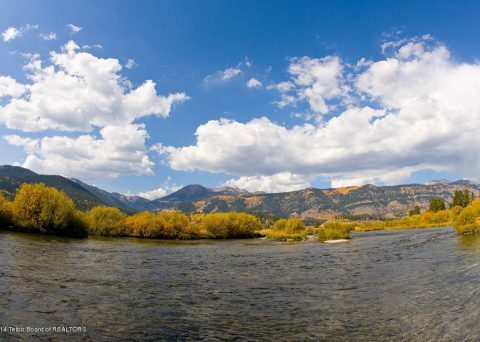 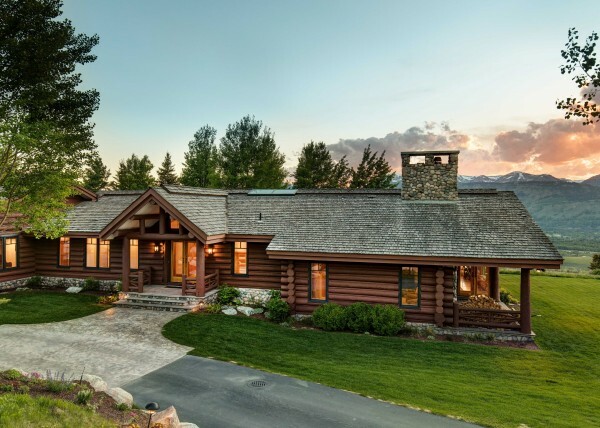 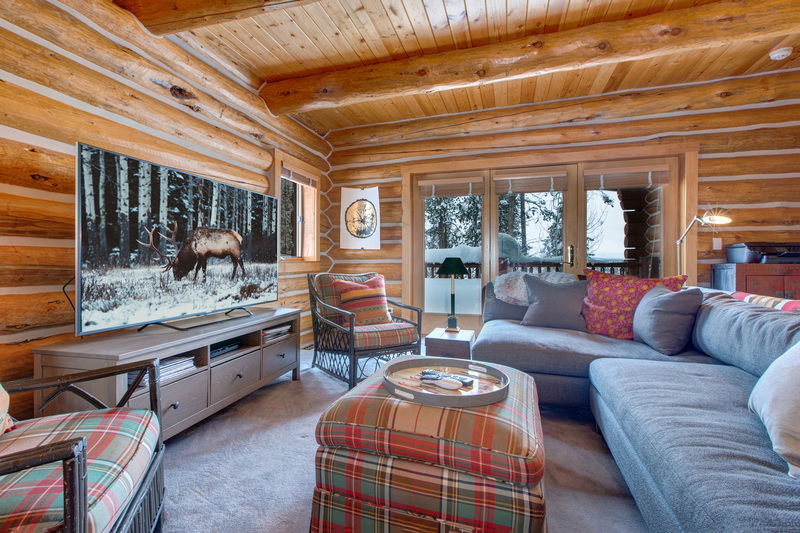 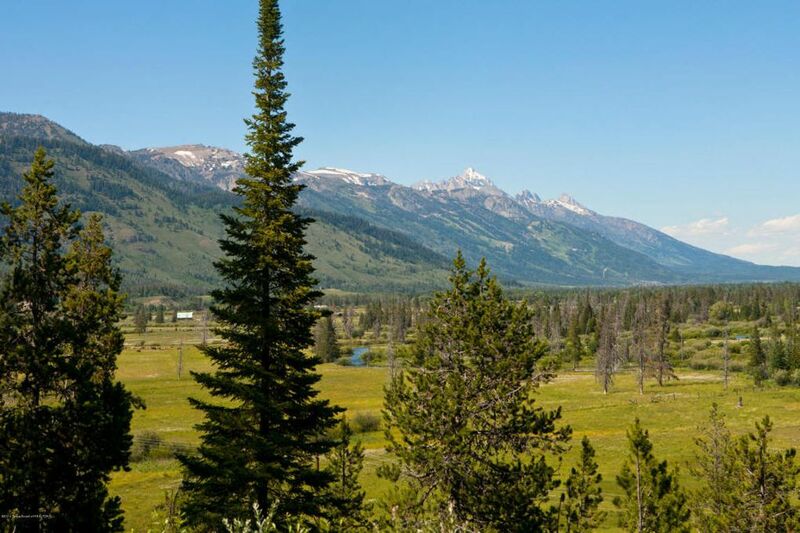 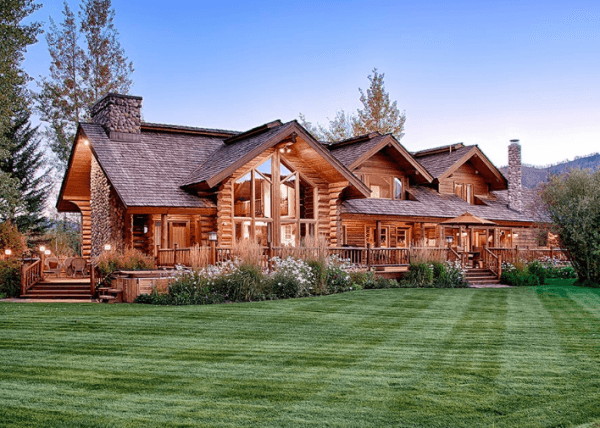 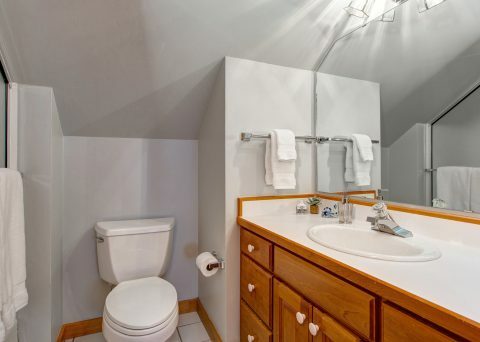 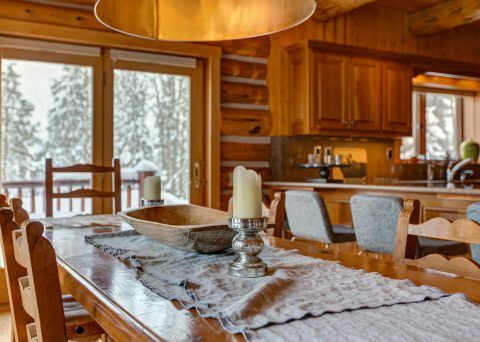 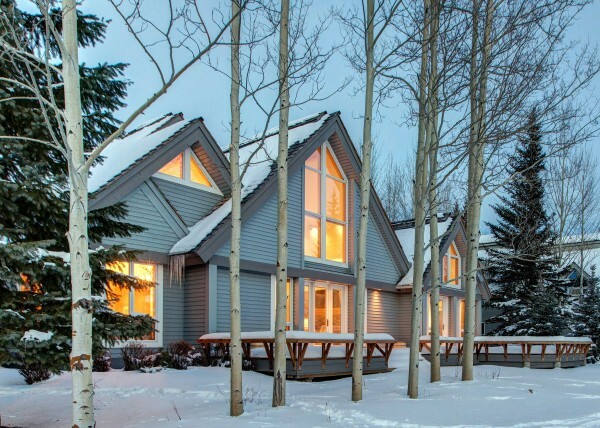 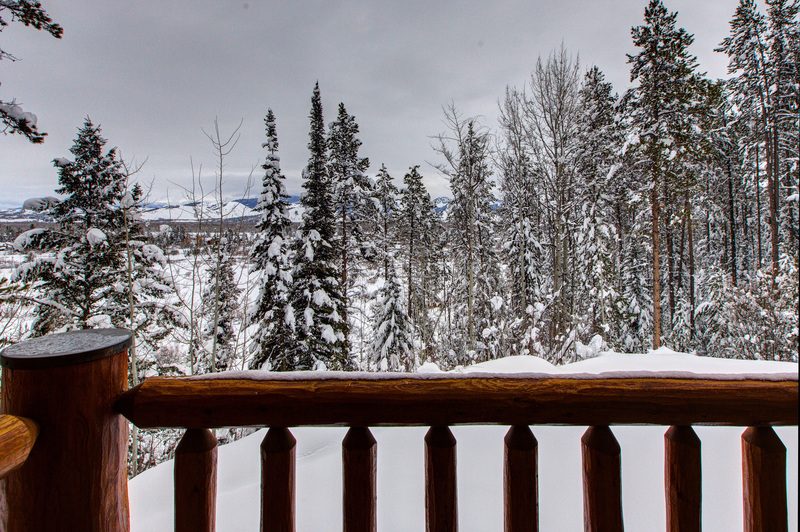 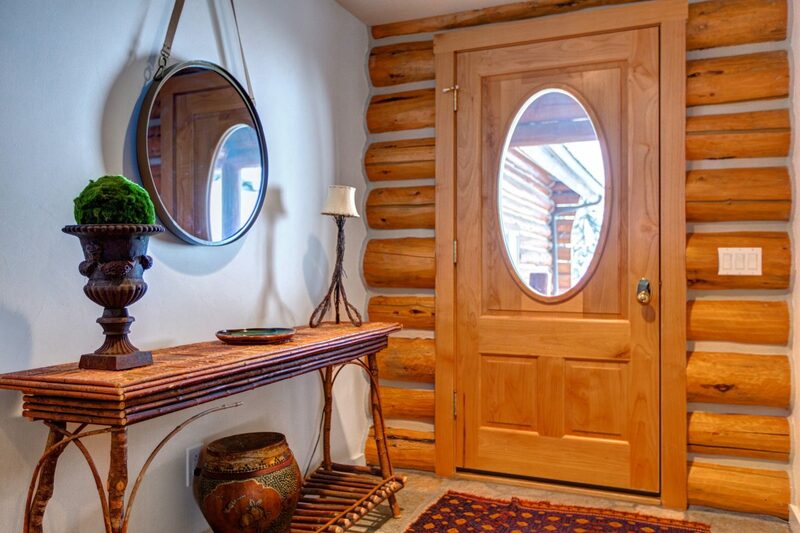 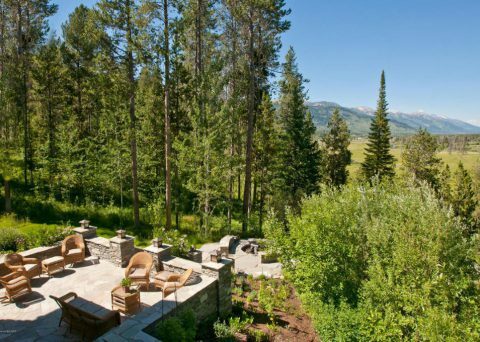 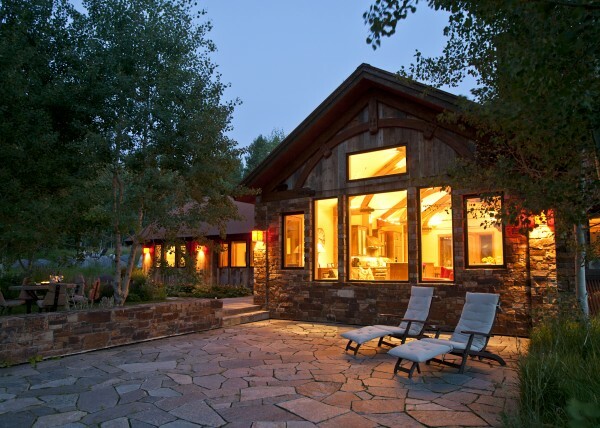 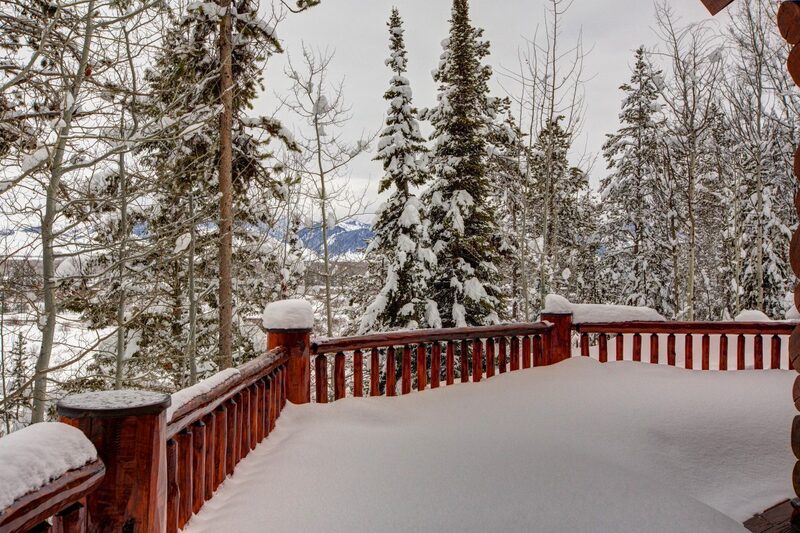 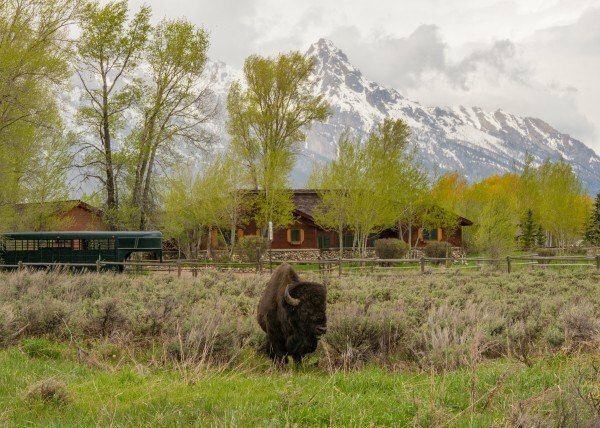 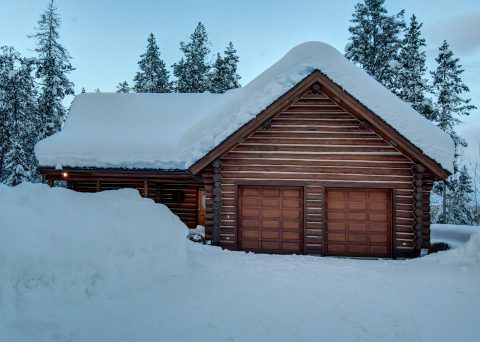 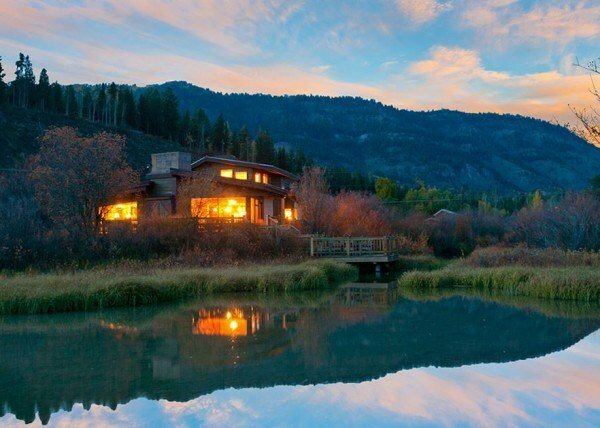 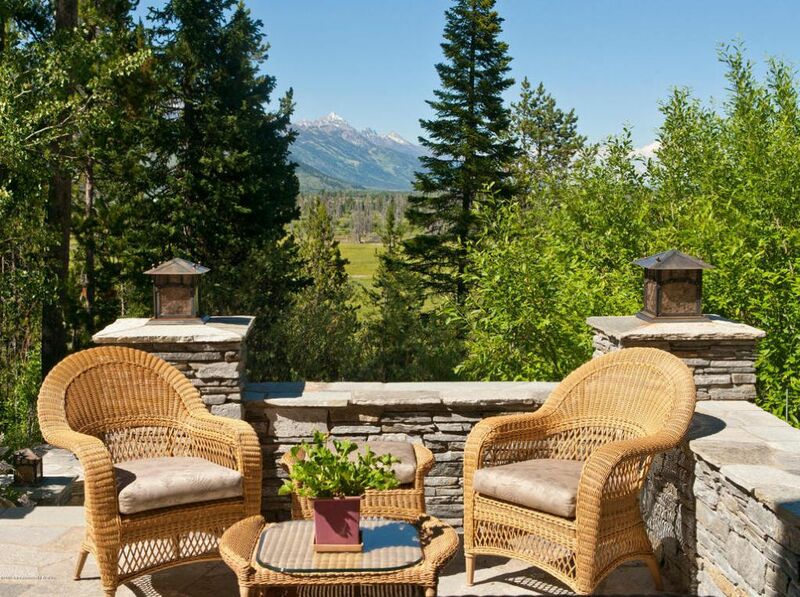 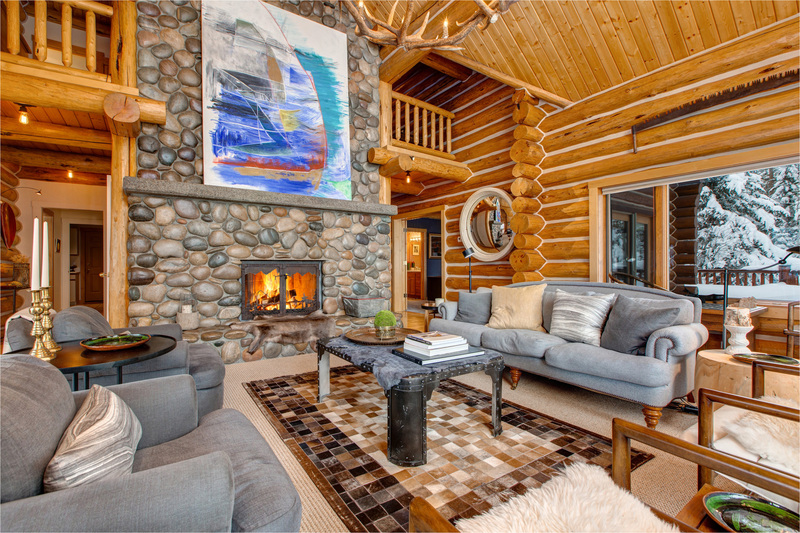 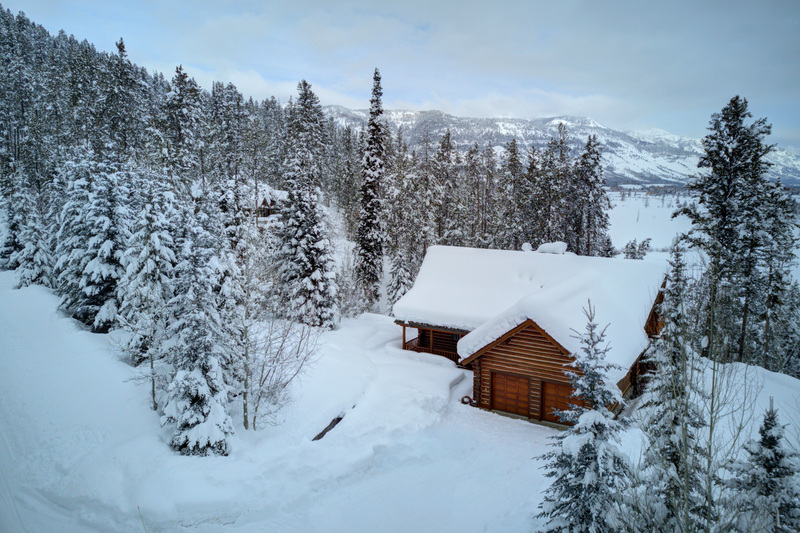 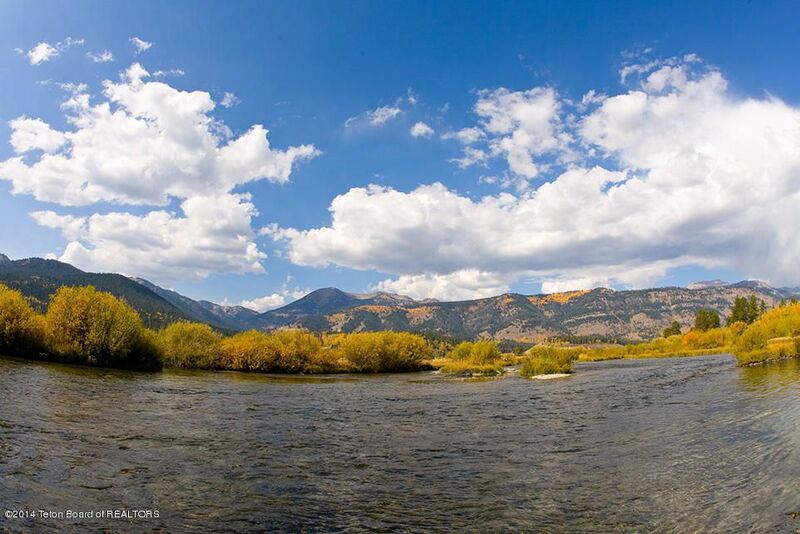 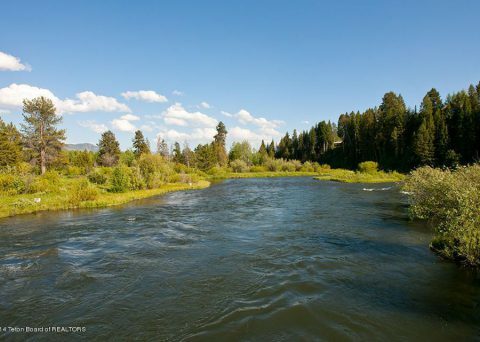 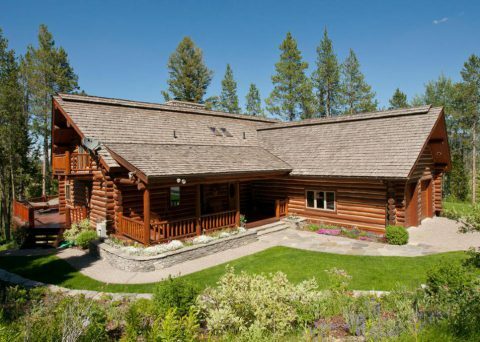 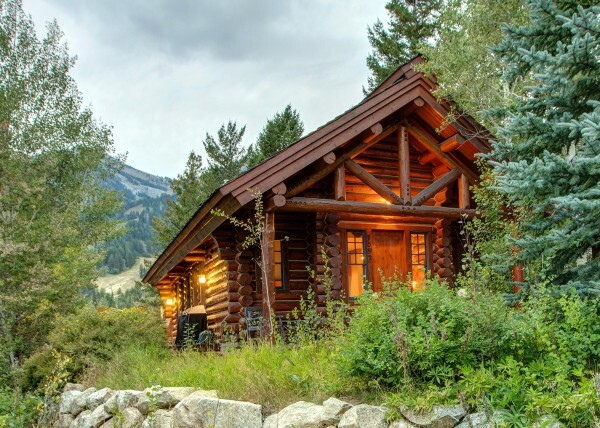 Situated on a 1.98 acre lot adjacent to conservation land this property is a rare blend of views, privacy and seclusion while only being a short drive from the town of Jackson, Teton Village and the National Parks.